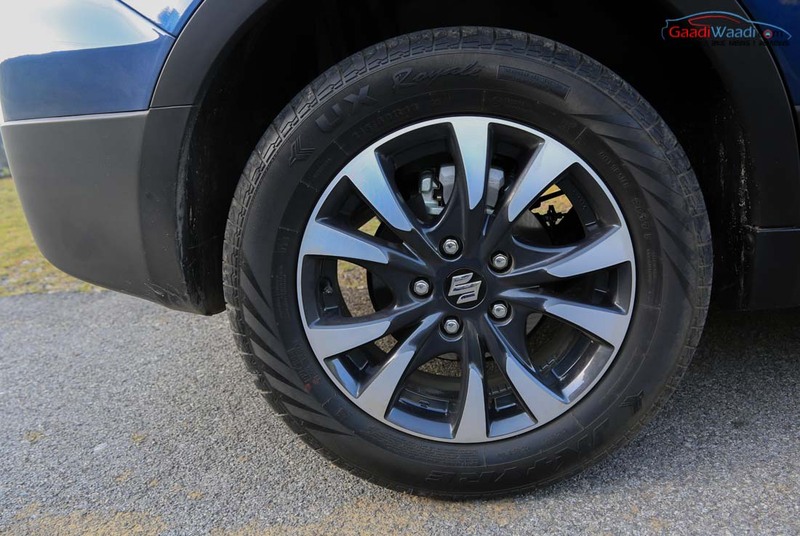 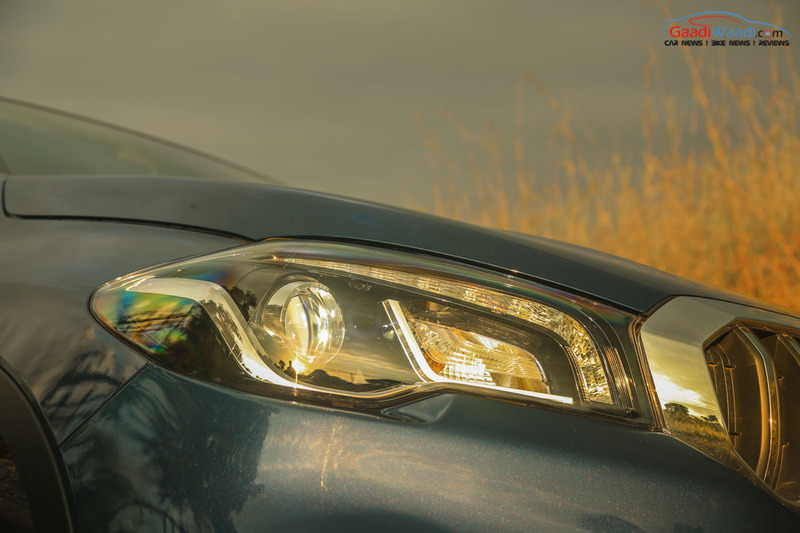 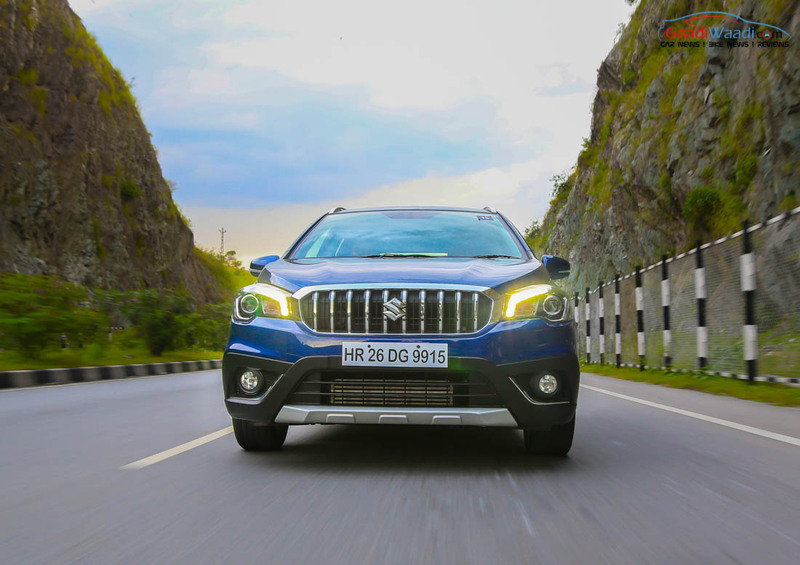 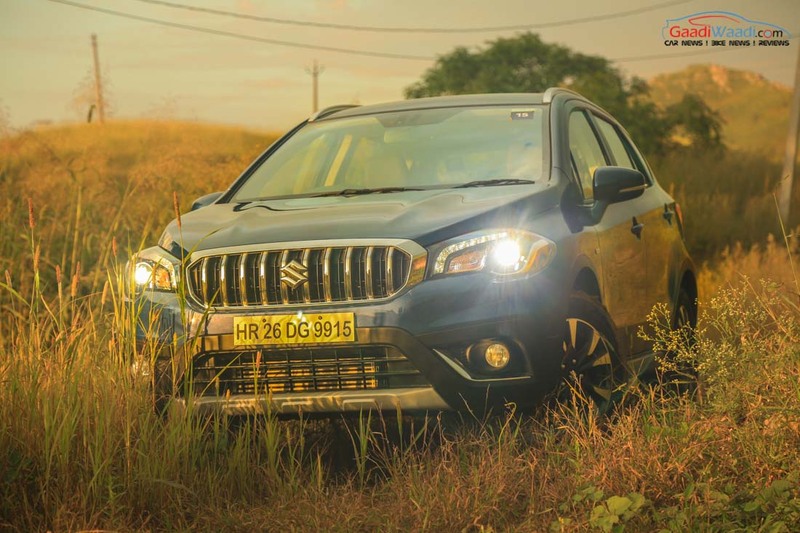 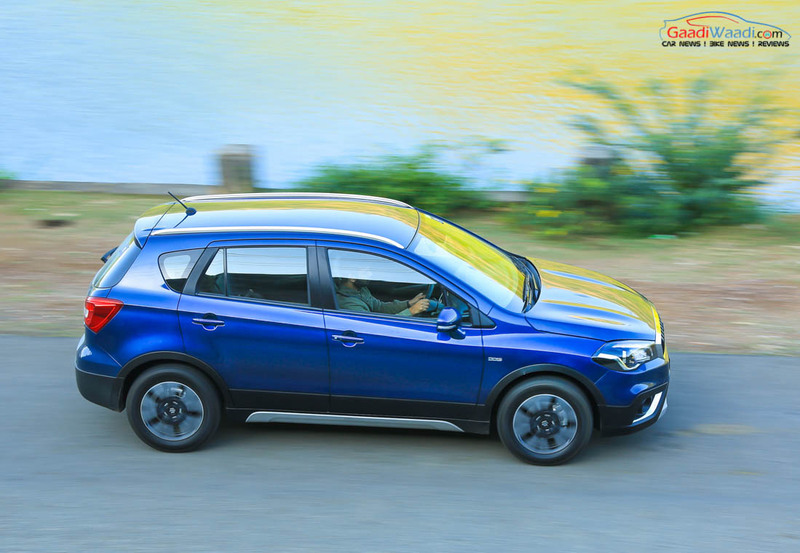 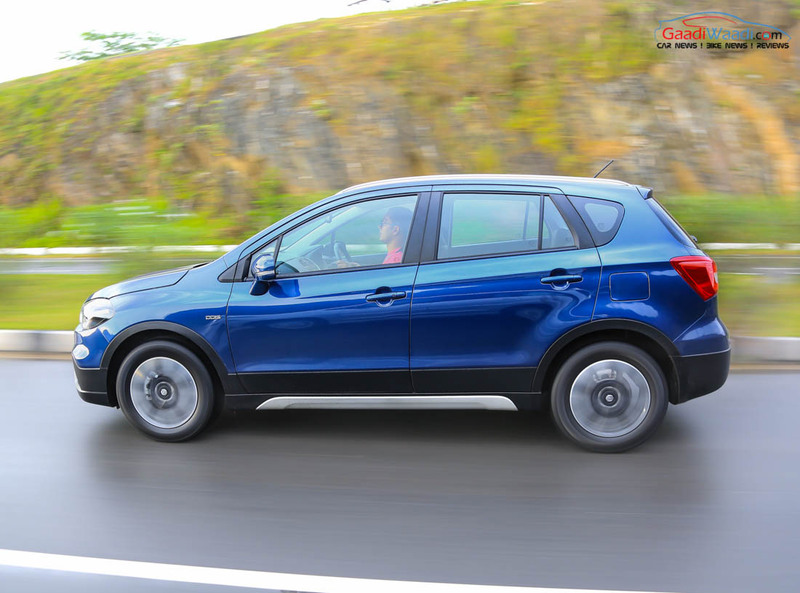 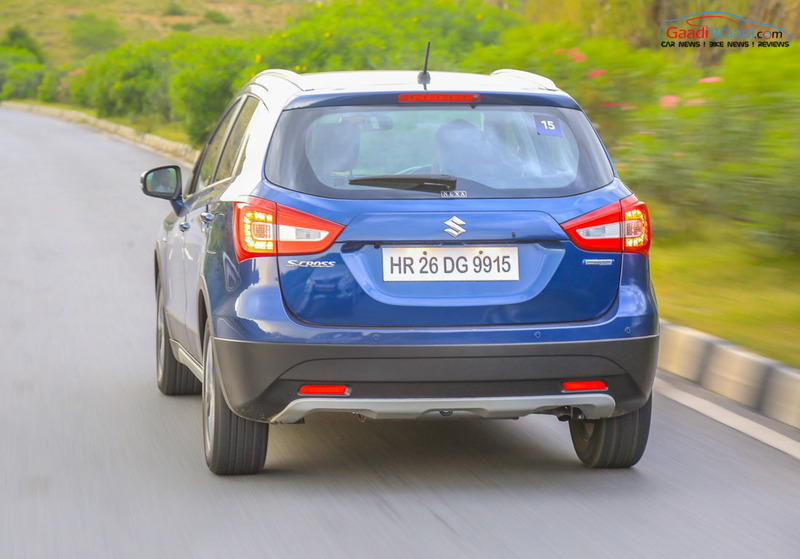 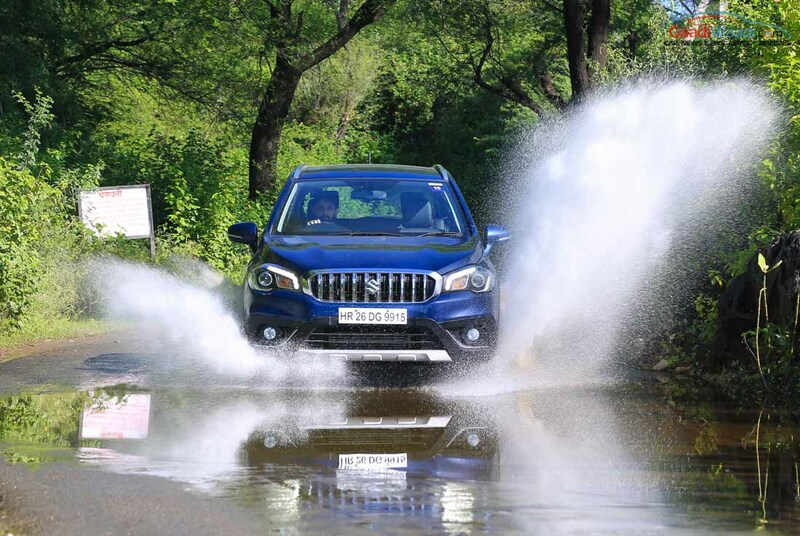 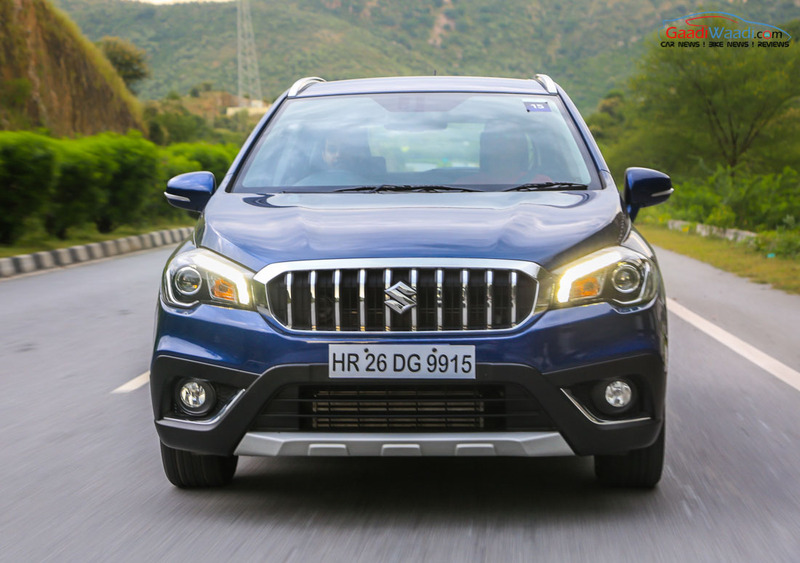 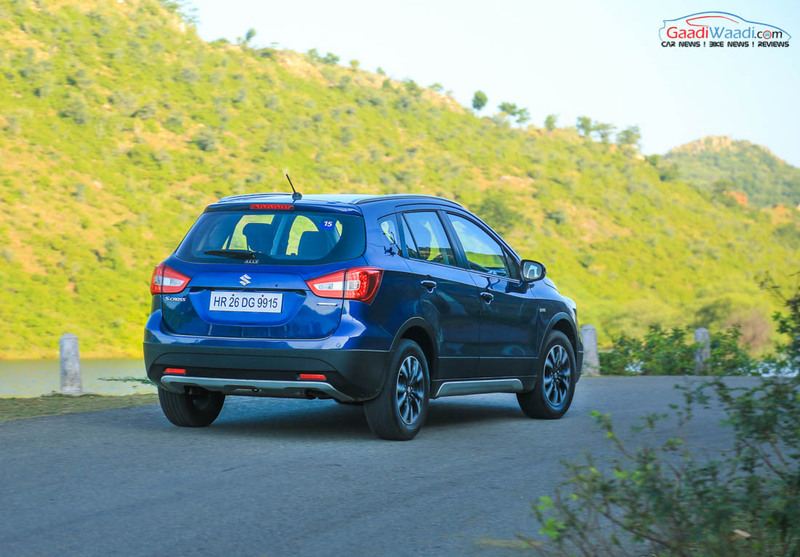 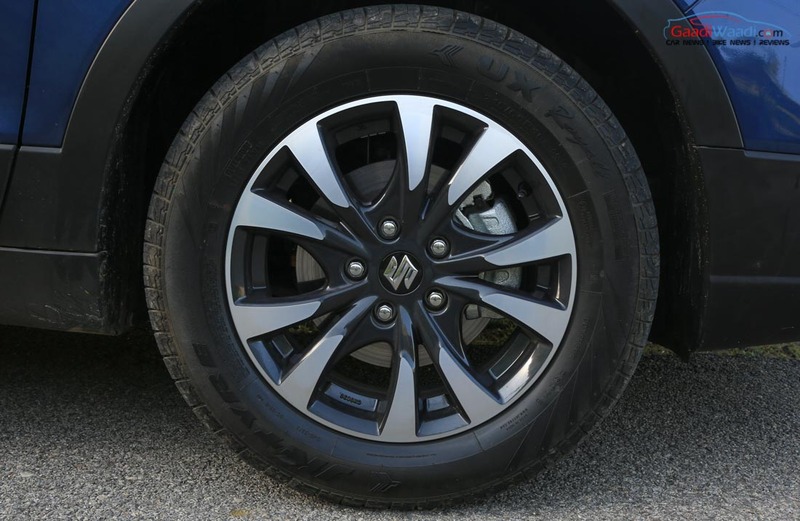 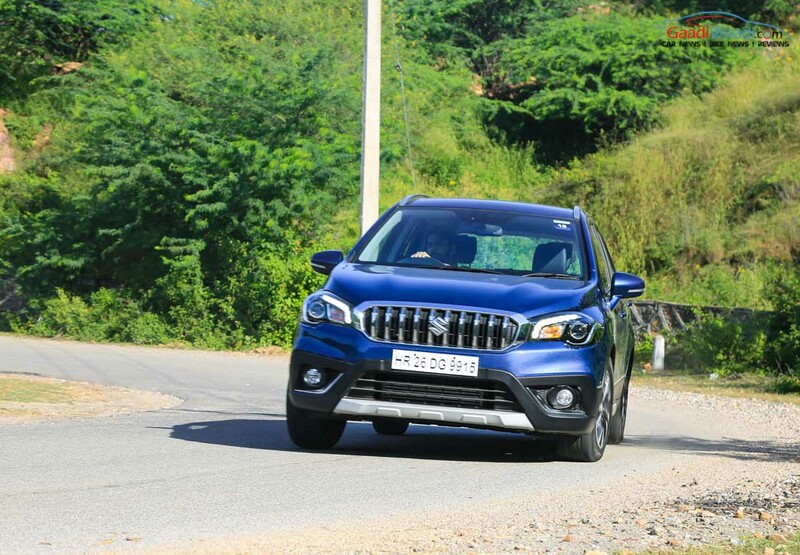 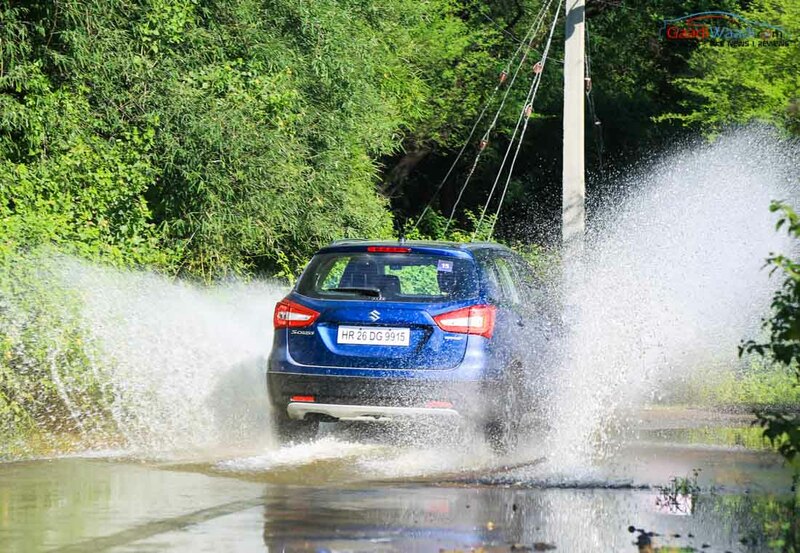 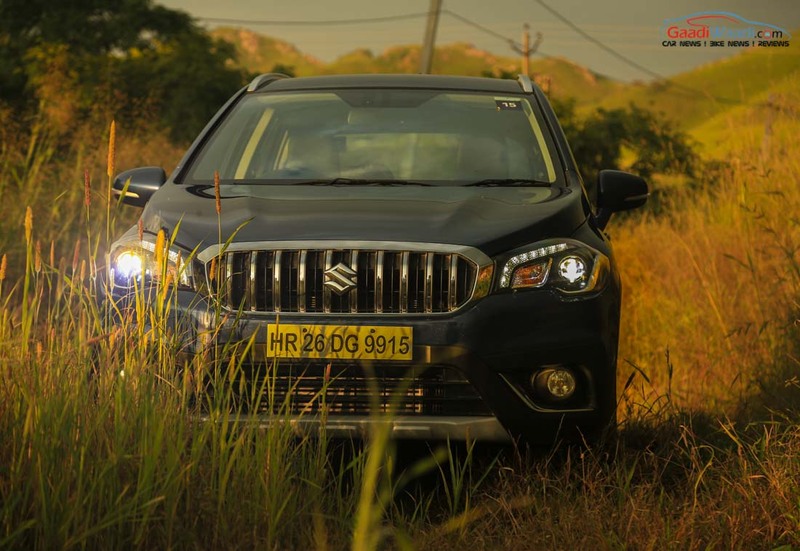 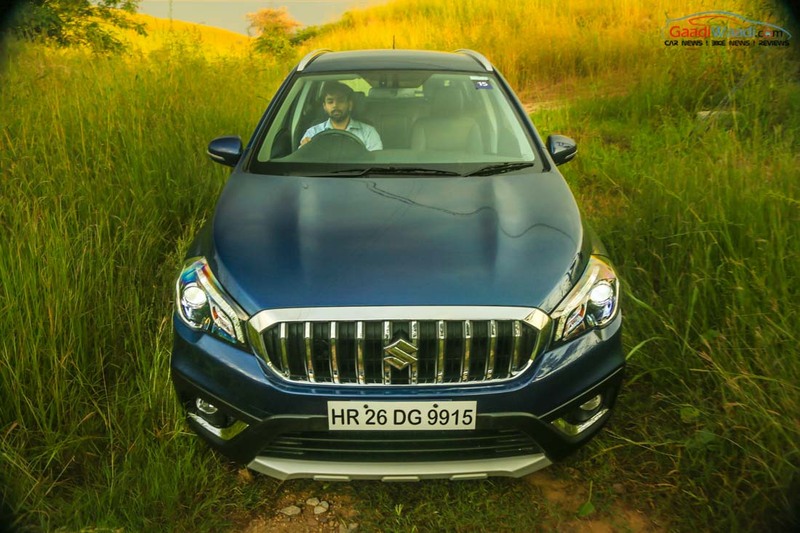 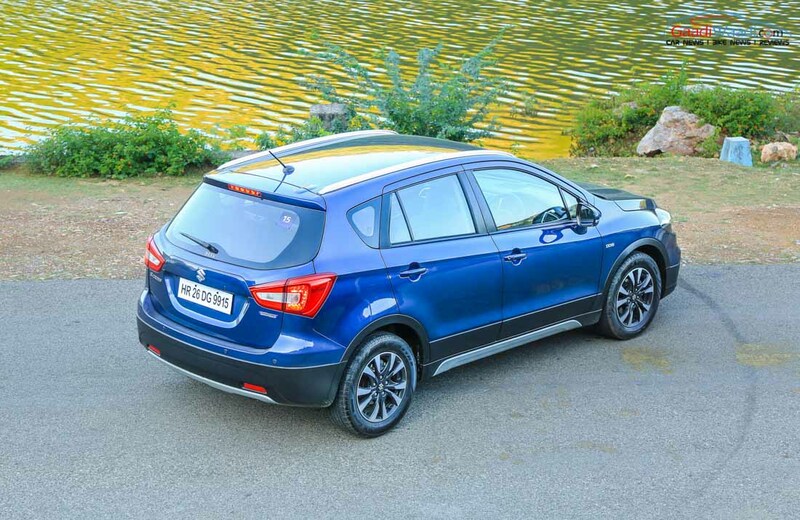 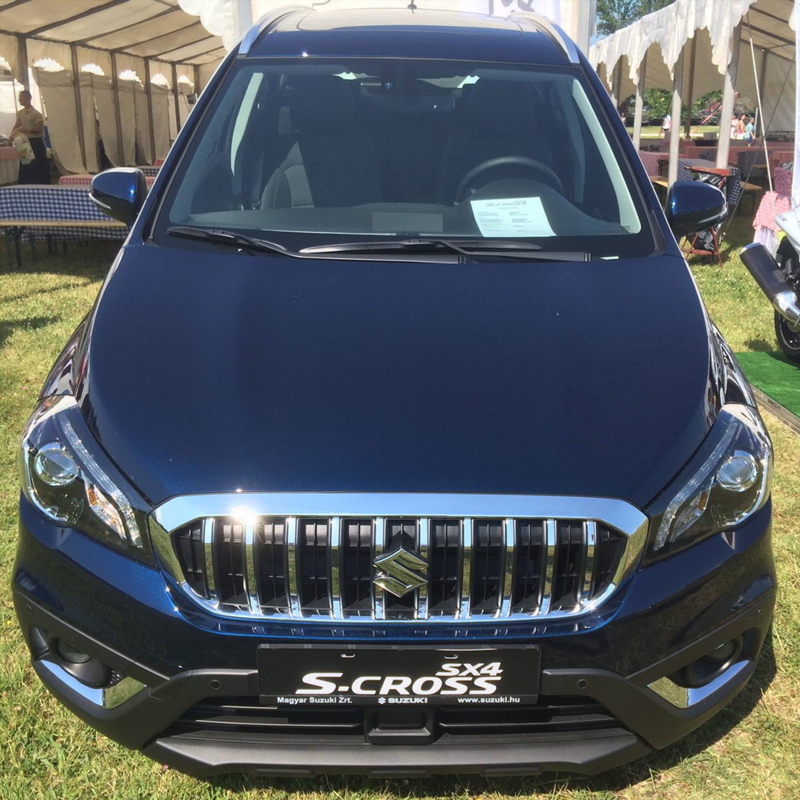 Maruti Suzuki first launched the S-Cross crossover in September 2015 as the first premium offering sold exclusively from the newly established Nexa dealerships. 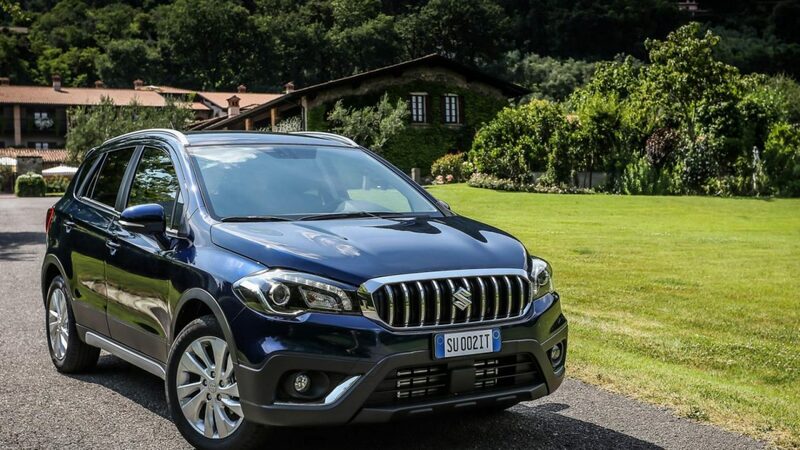 Although it ticks all the right boxes, considering the pricing customers had opted for sub-four metre SUVs. 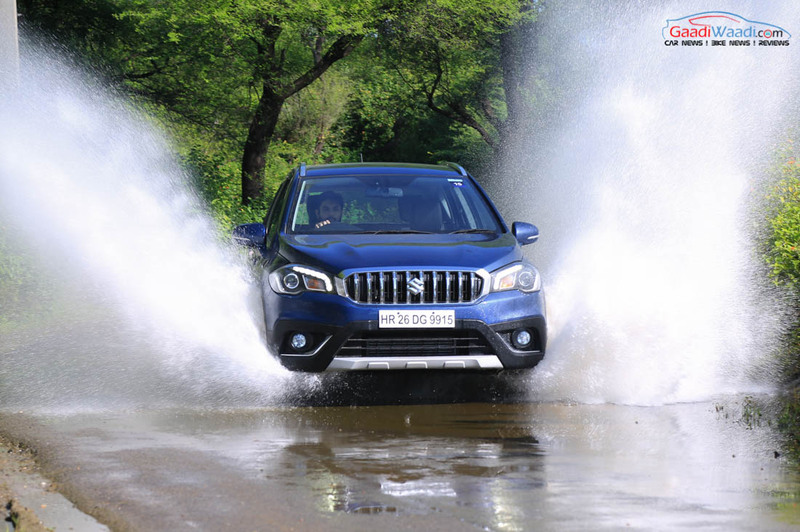 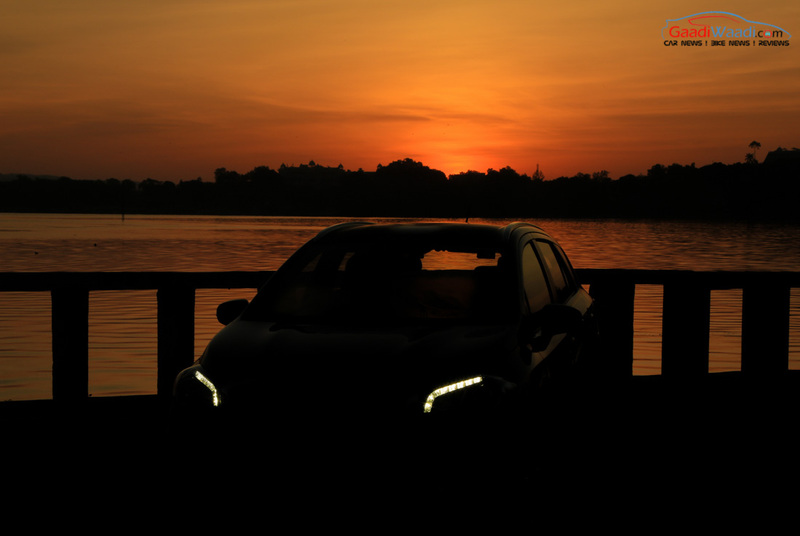 Understanding the negative wave, the leading car maker in the country slashed prices by over Rs. 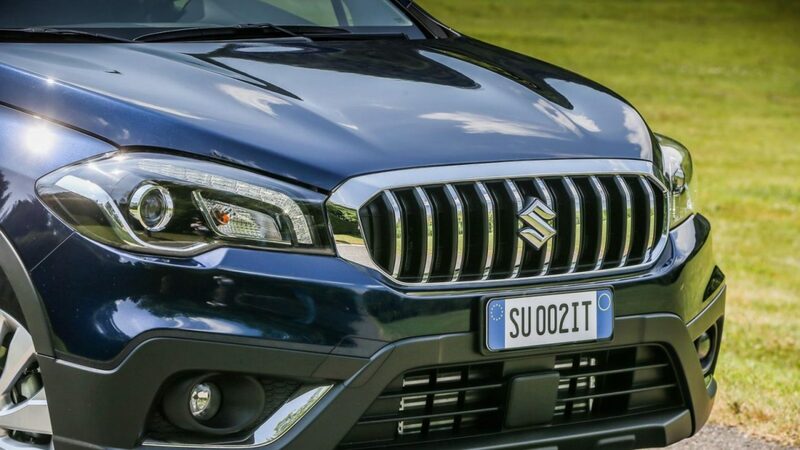 2 lakh. 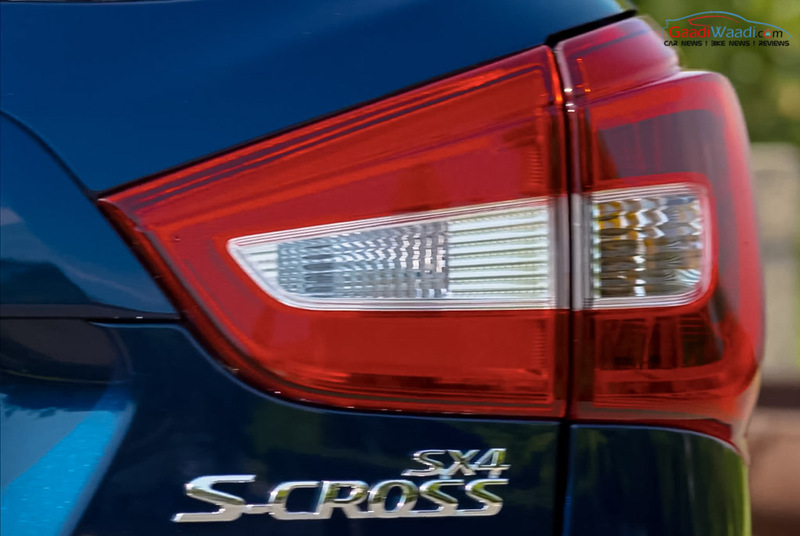 Since then, the crossover has stably been recording around 2,500 units. 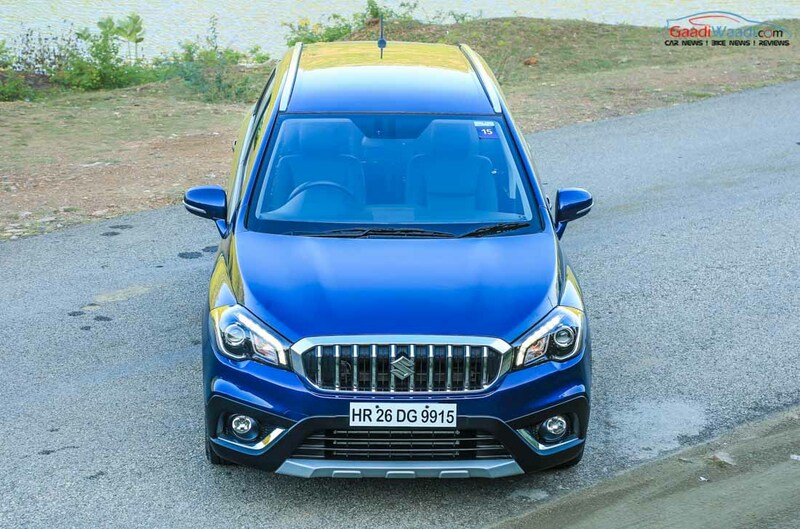 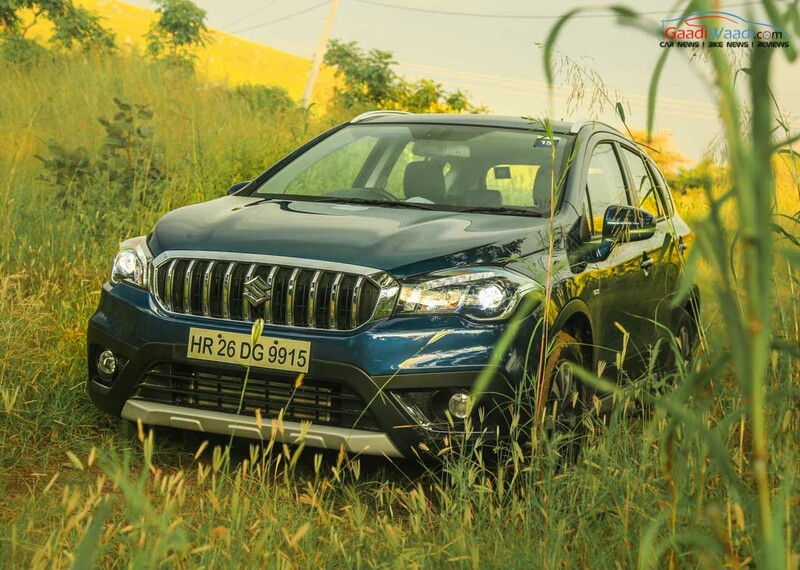 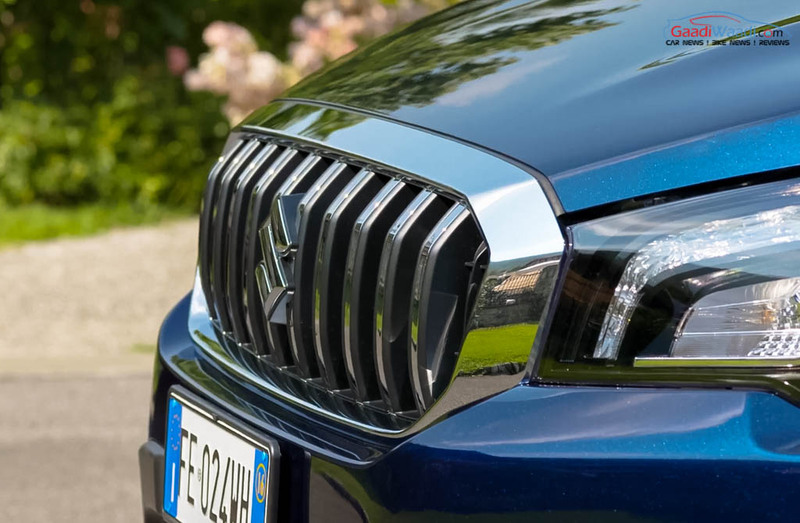 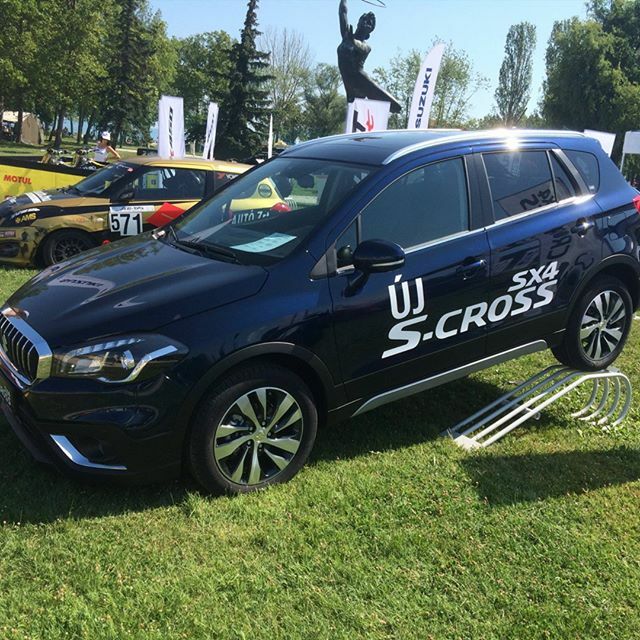 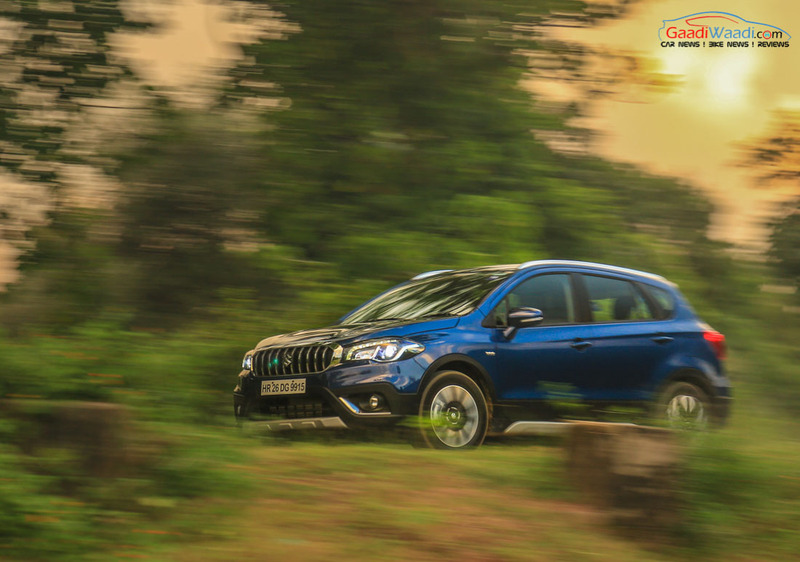 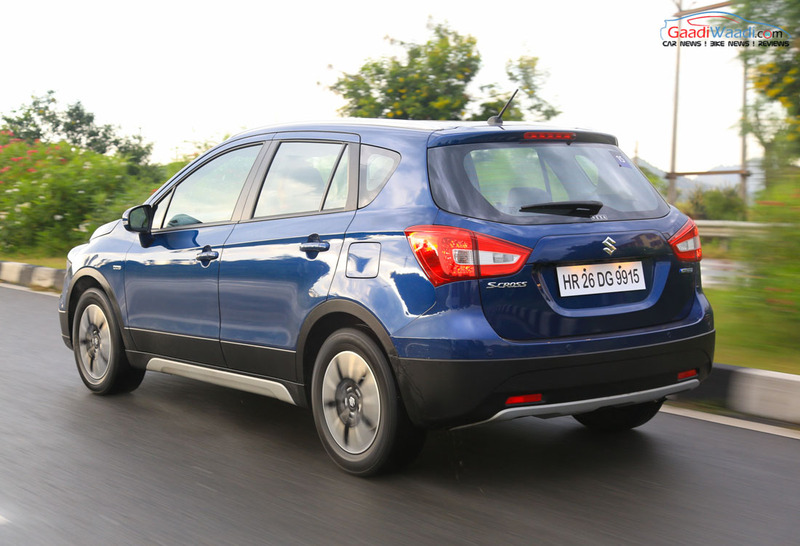 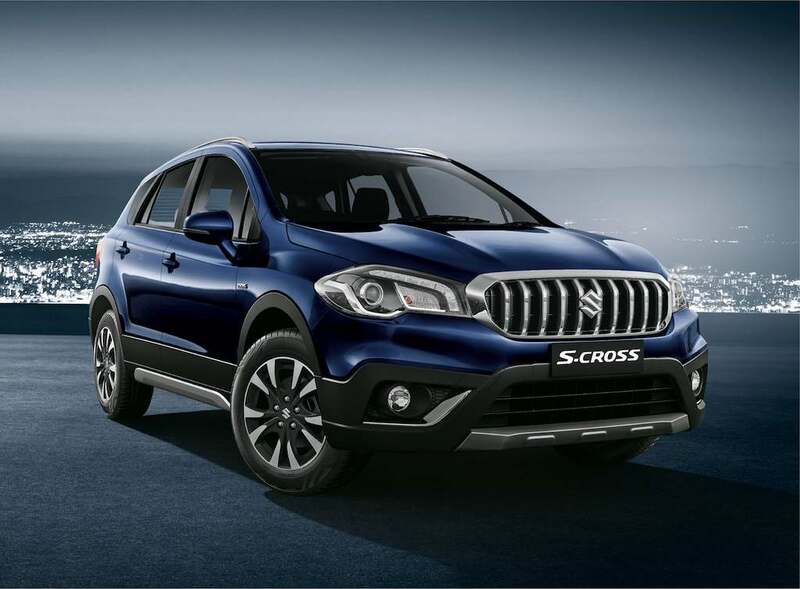 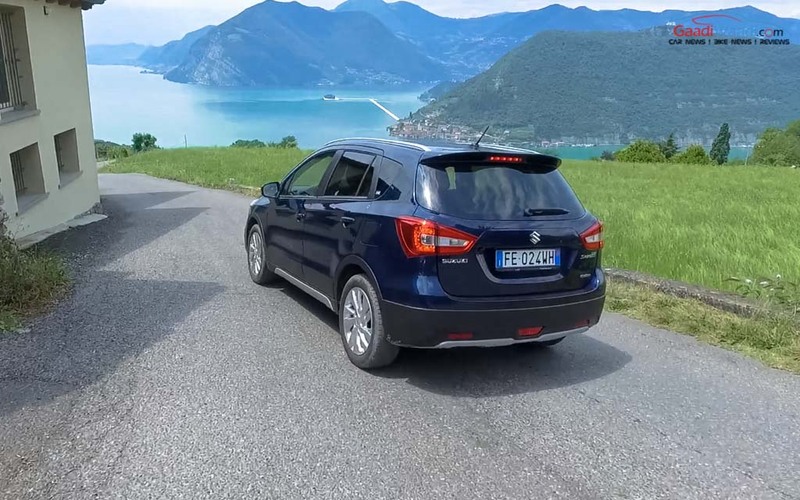 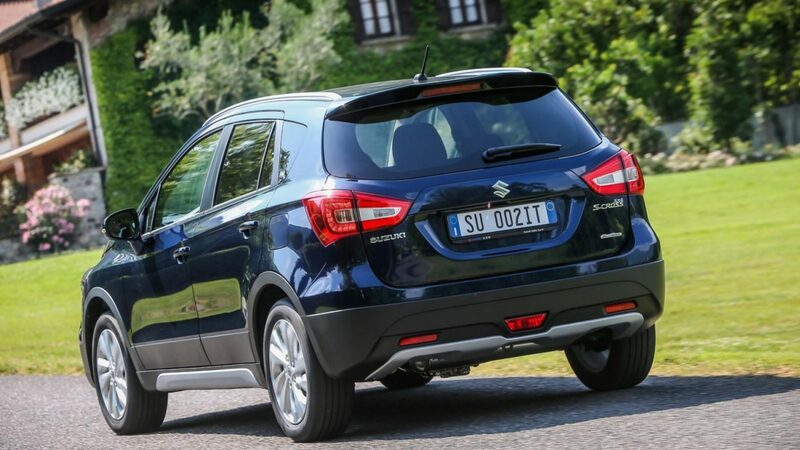 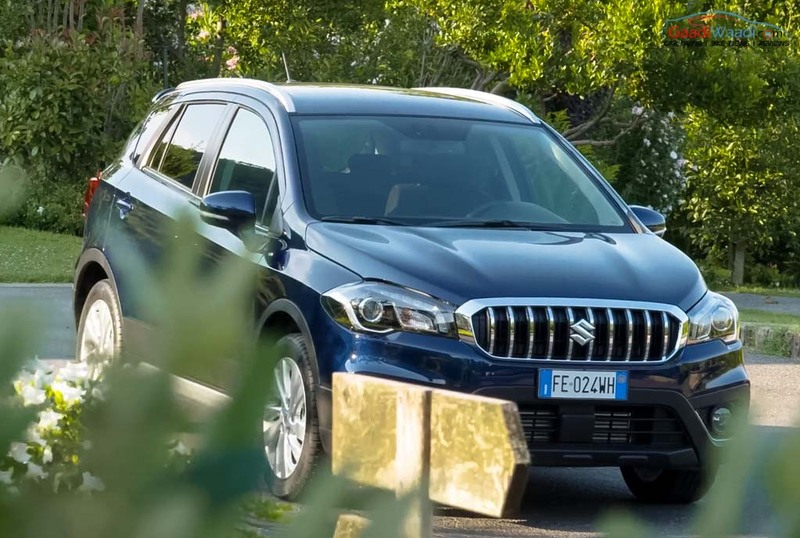 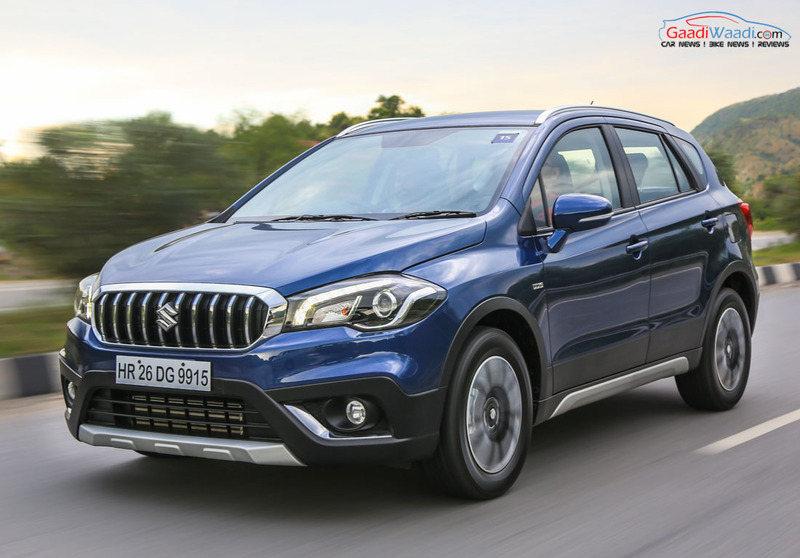 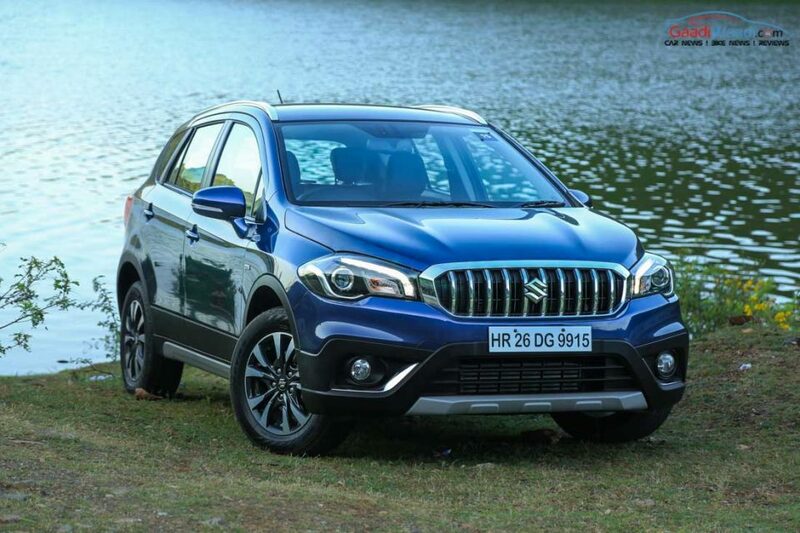 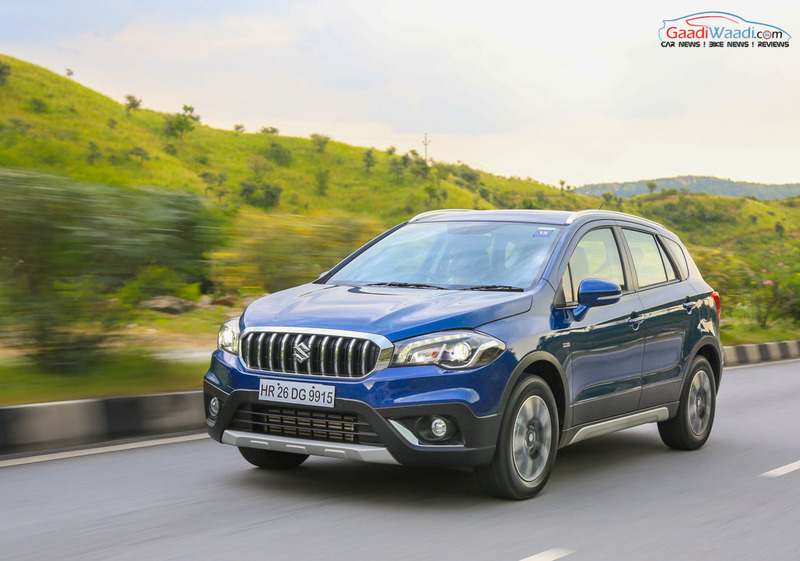 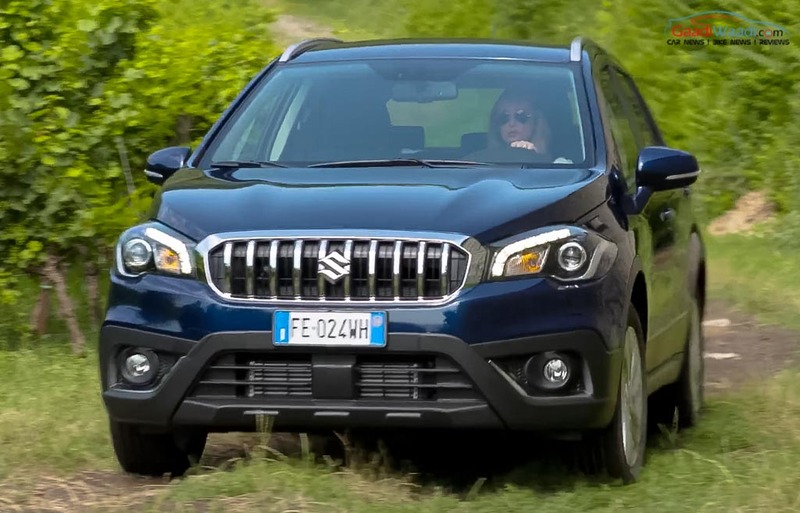 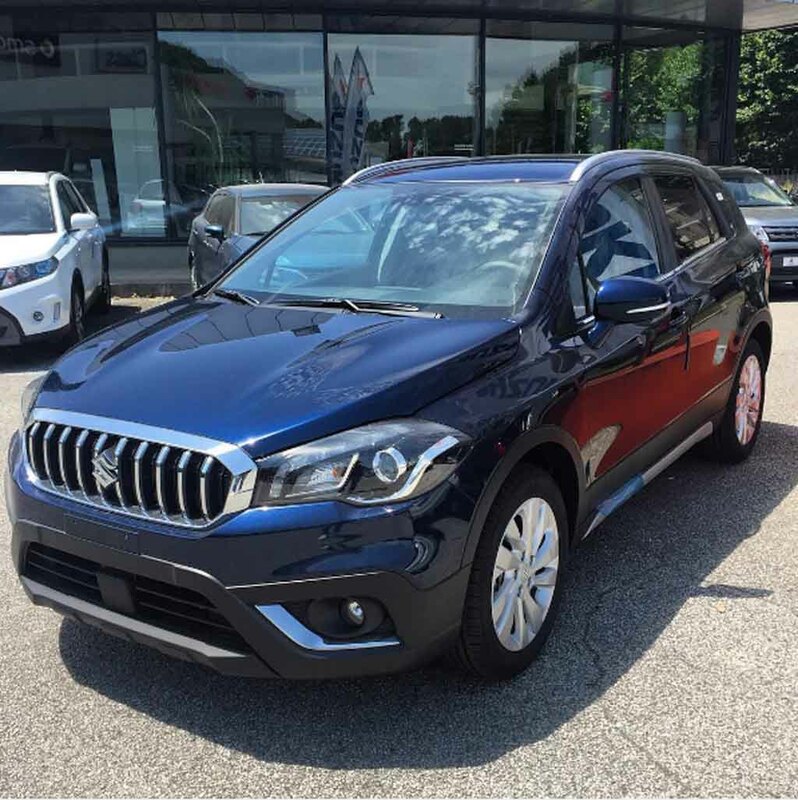 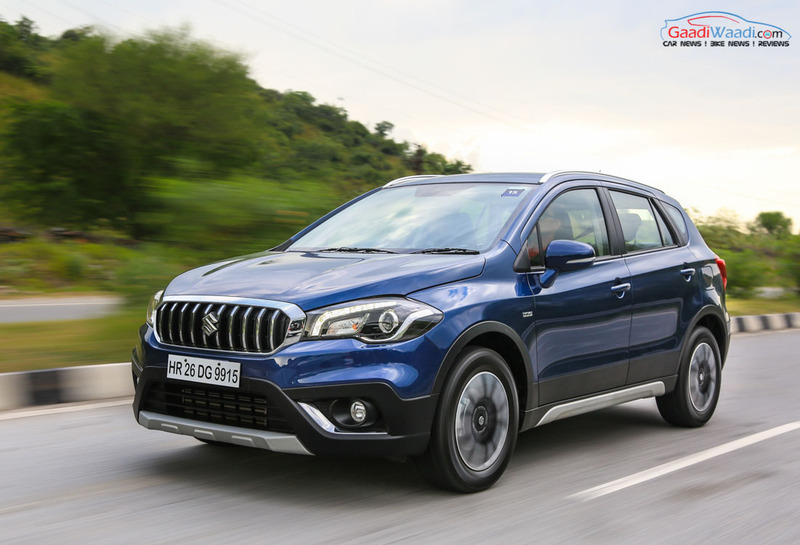 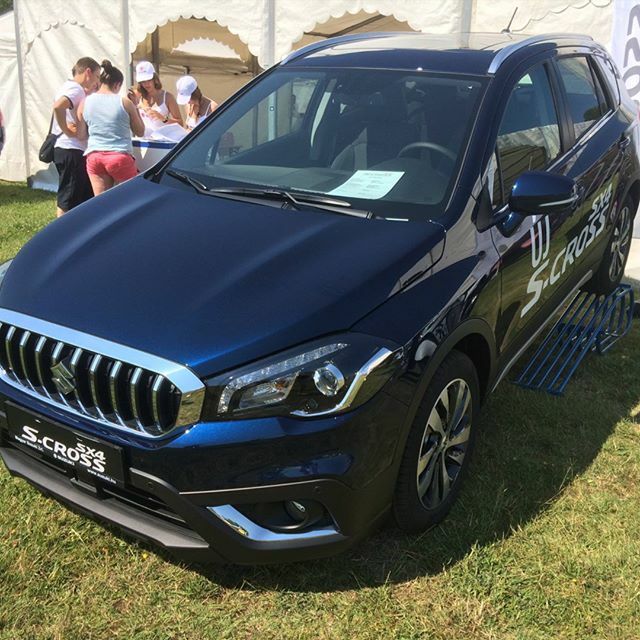 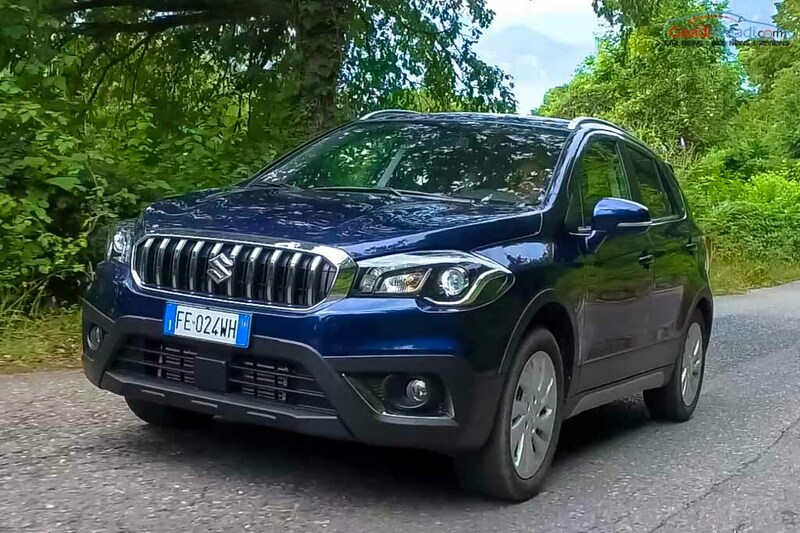 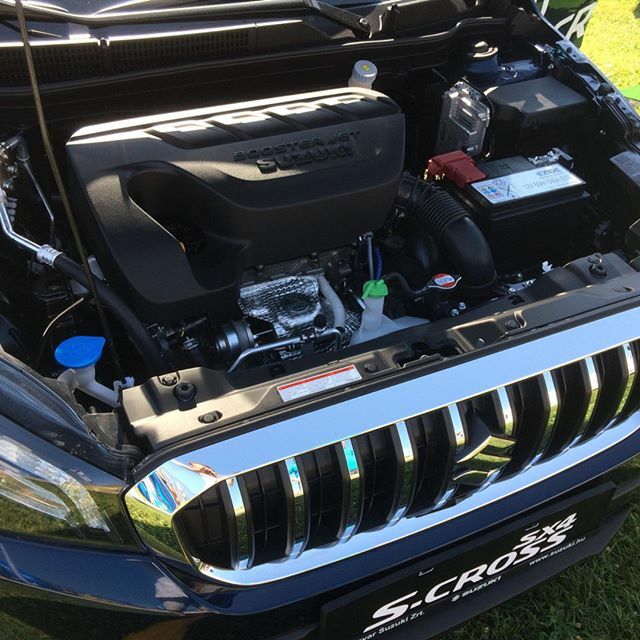 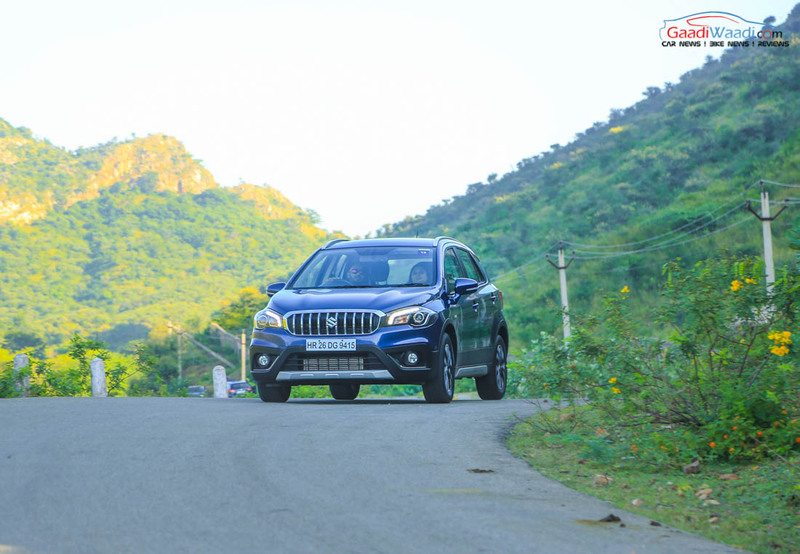 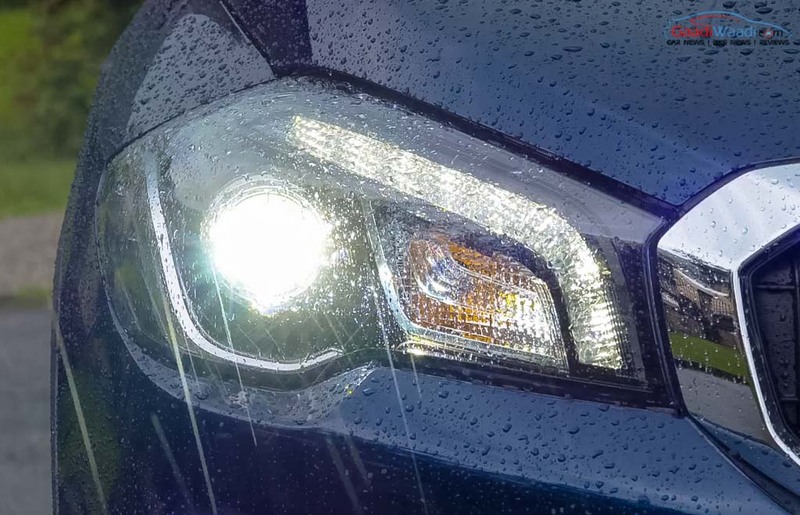 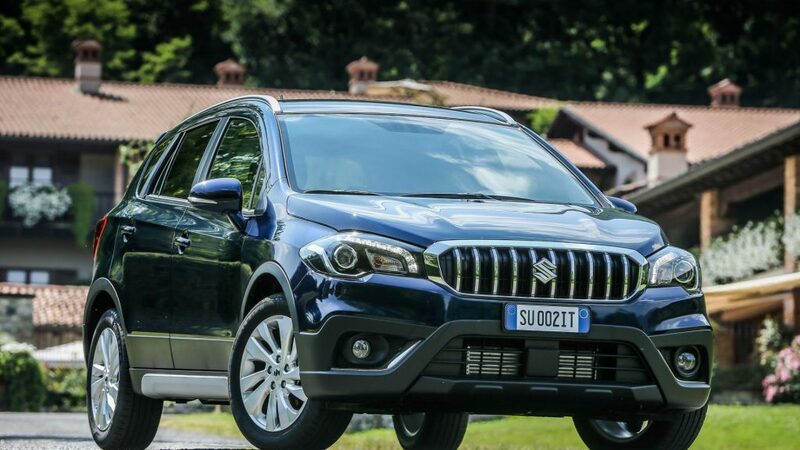 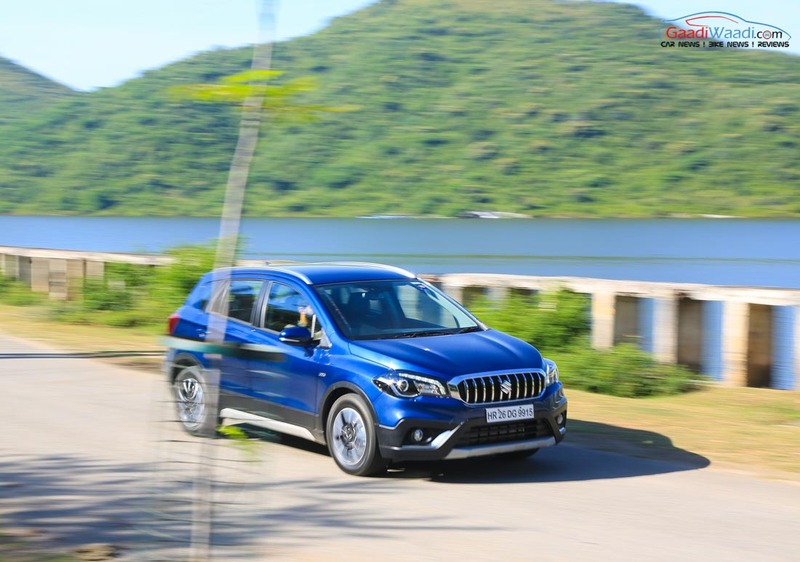 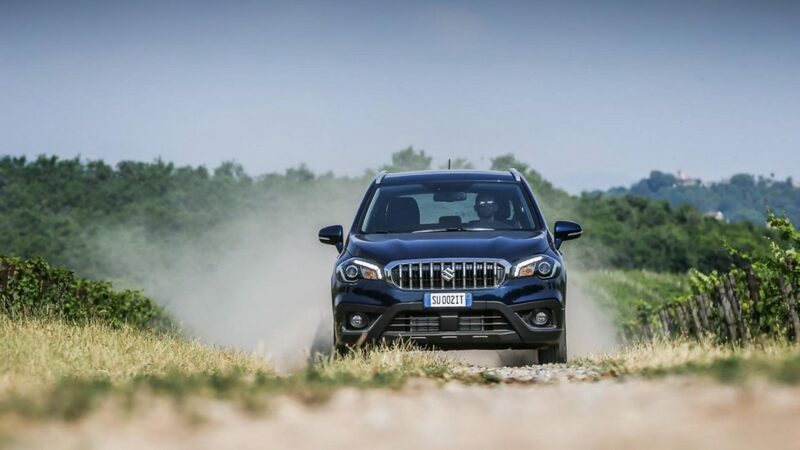 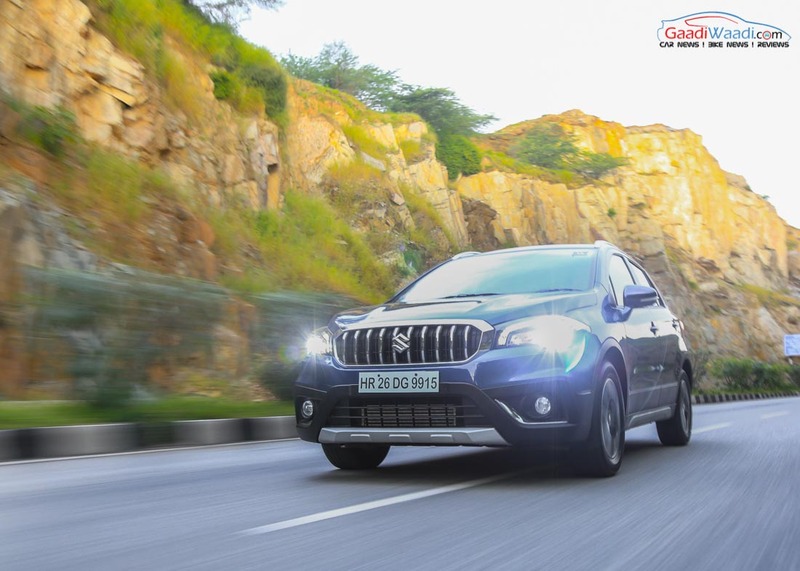 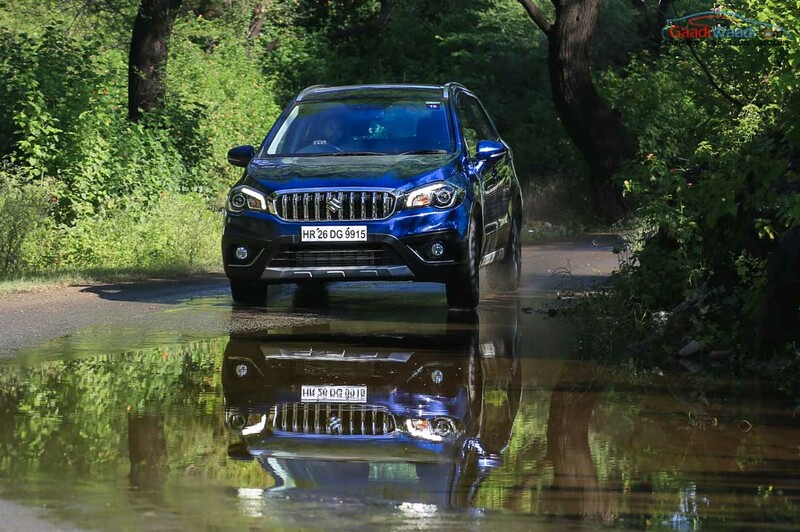 The Indo-Japanese brand has been rallying to introduce a facelifted S-Cross to stand in line with the ever increasing competition and it was first revealed in Europe with cosmetic updates. 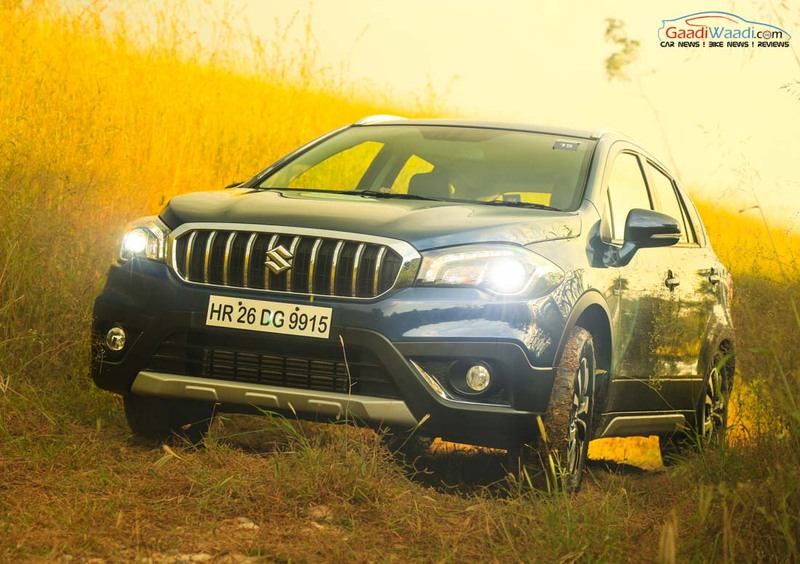 The updated version of the premium crossover made its global debut at the 2016 Paris Motor Show in September and it received a good response and finally it was launched in India with the starting price of Rs. 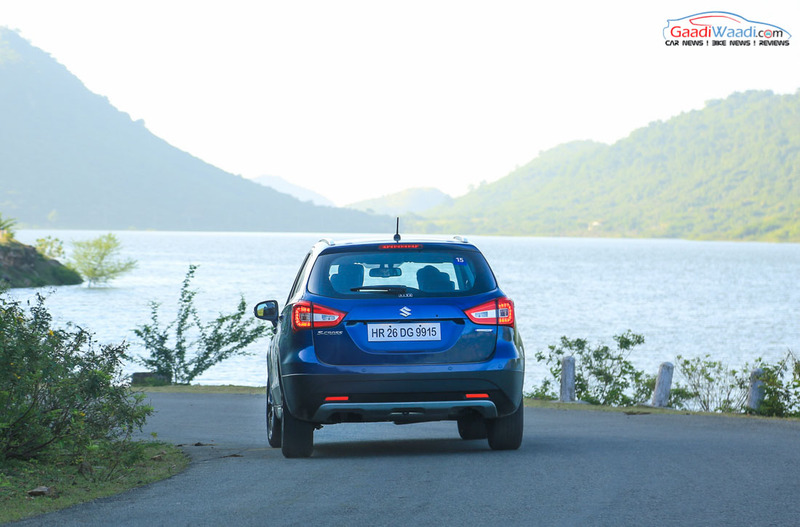 8.49 lakh (ex-showroom) with Smart-Hybrid technology as standard in October. 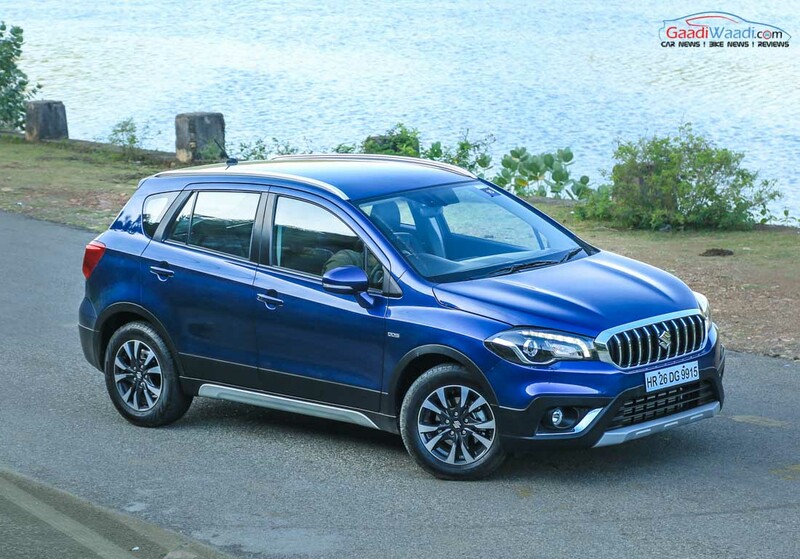 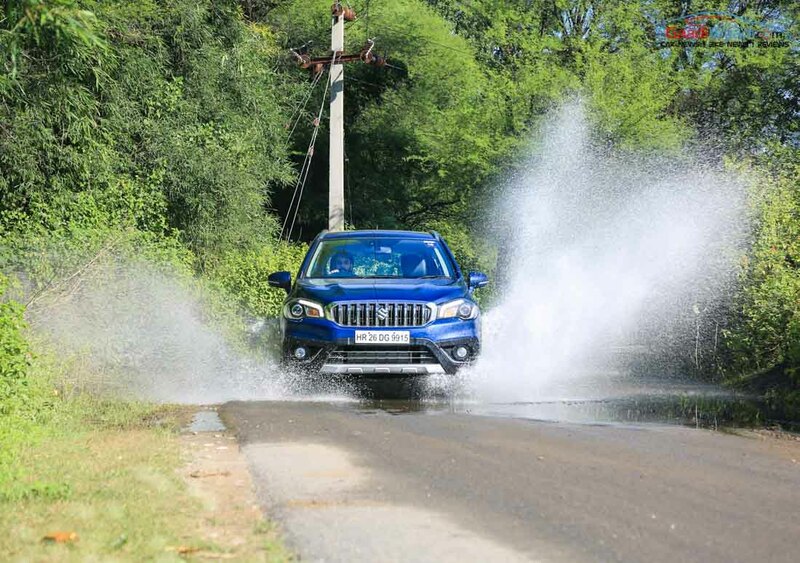 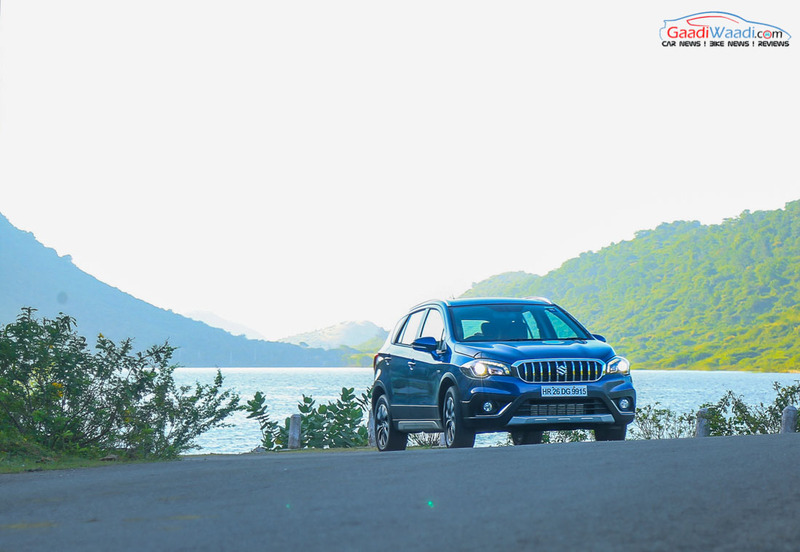 In its first month in the market, the brand has exceeded expectations and retailed 5,510 units of the crossover and backed it up with 3,363 units in November with YoY sales growth of 70 percent. 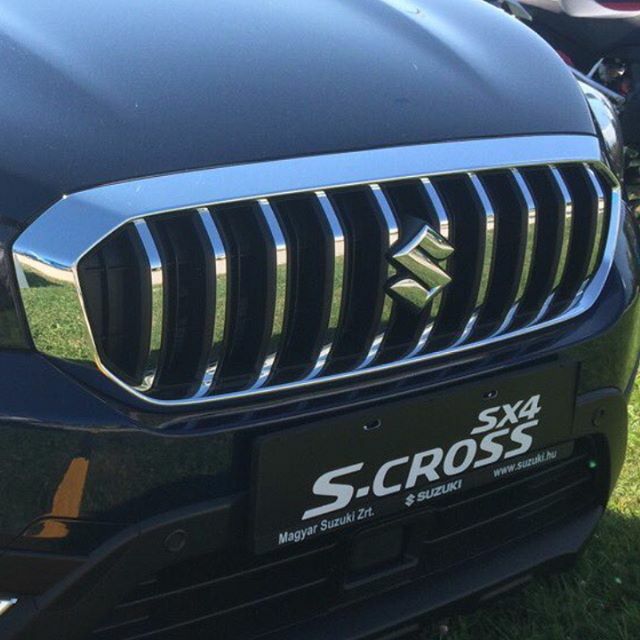 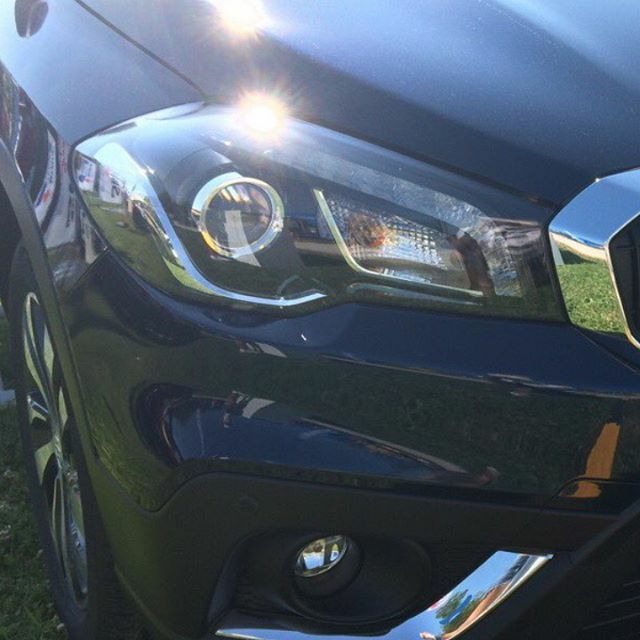 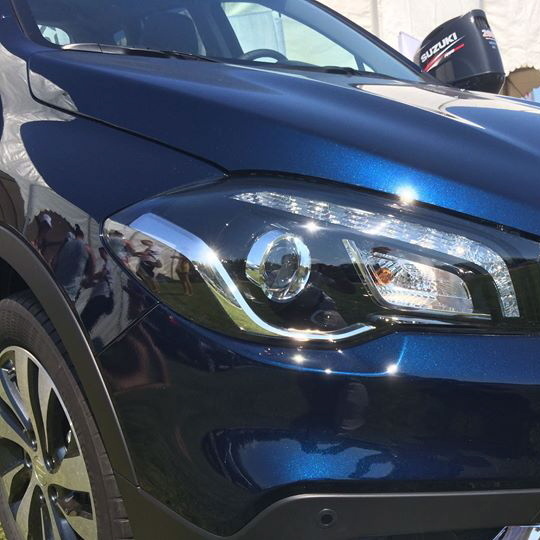 The S-Cross facelift is retailed in Sigma, Delta, Zeta and Alpha variants. 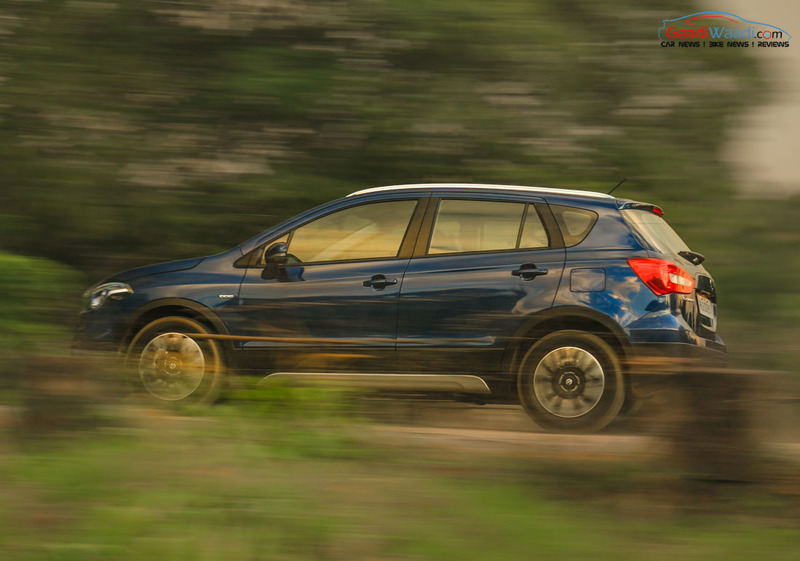 The base variant comes with a price tag of Rs.8.49 lakh and it goes up to Rs. 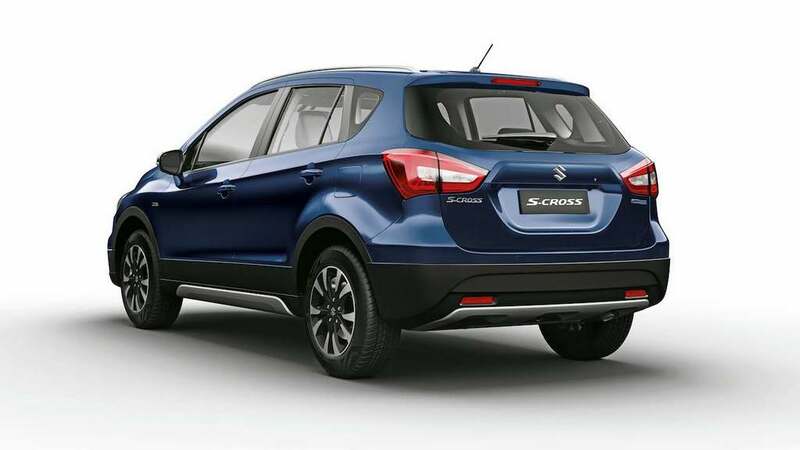 11.29 lakh (ex-showroom, New Delhi). 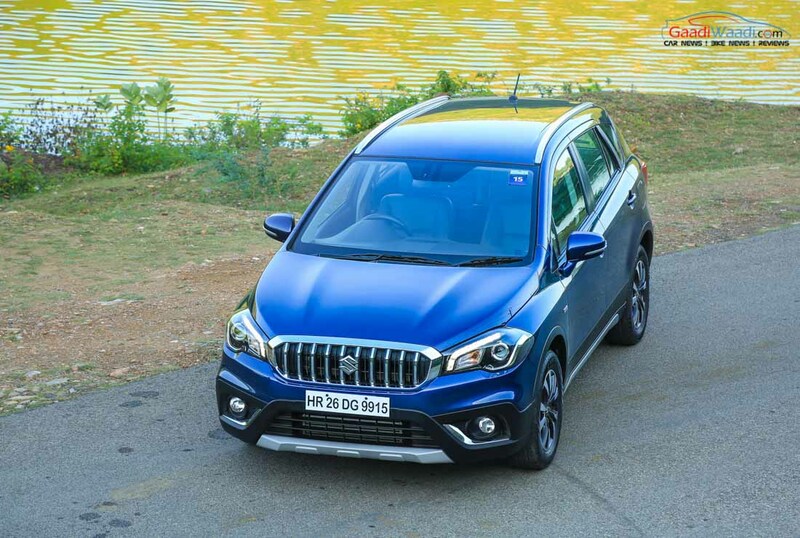 The facelifted S-Cross now only feature the 1.3-litre DDiS 200 diesel making 89 bhp at 4,000 rpm and 200 Nm at 1,750 rpm while the bigger 1.6-litre DDiS 320 diesel developing 118 bhp and 320 Nm will be ditched. 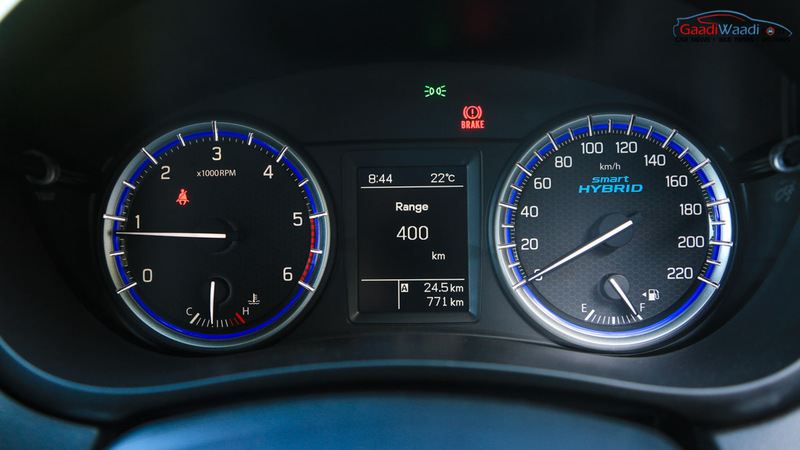 However, the biggest twist is the inclusion of SHVS (Smart Hybrid Vehicle by Suzuki) technology that helps improve fuel economy as in the Ciaz. 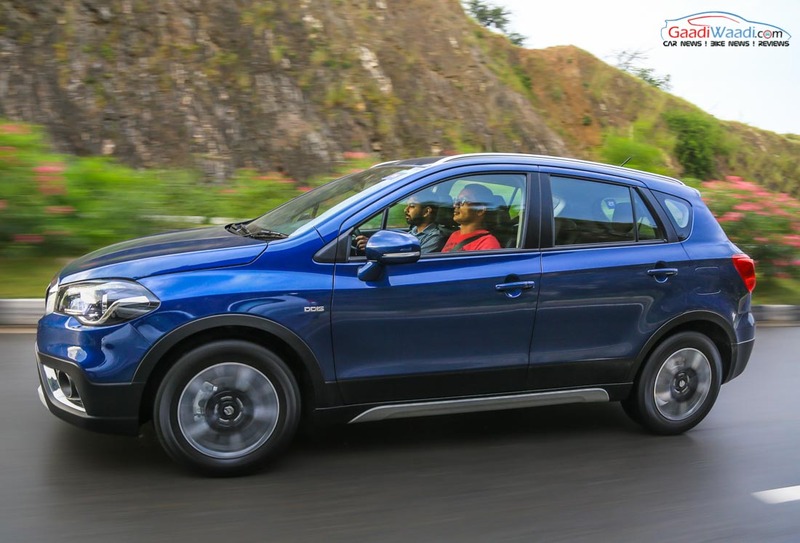 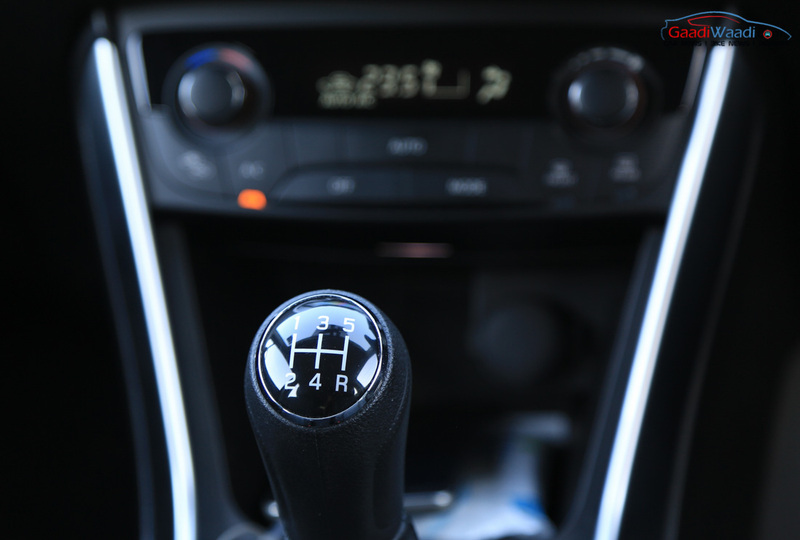 Apart from the existing five-speed manual for 1.3L engine, there won’t be any automatic or AMT transmission up for sale as of now. 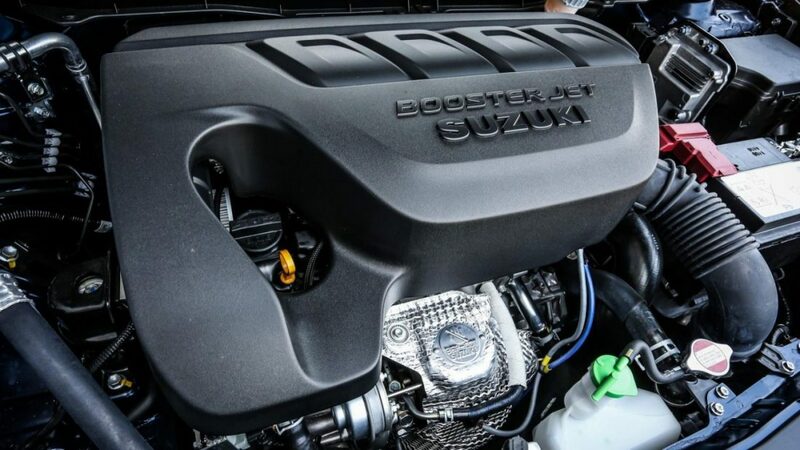 The diesel engine undergo slight improvements in mileage in the facelift at 25.1 kmpl. 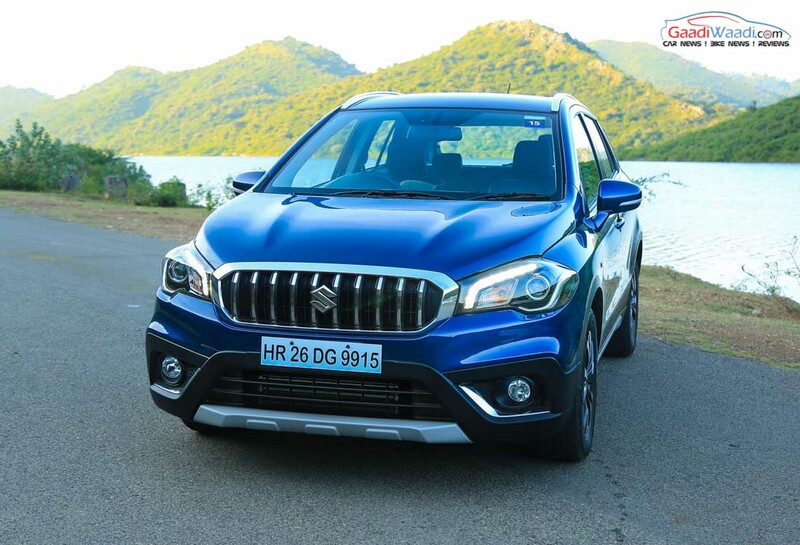 The facelifted crossover have a highly appreciable mileage of 25.1 kmpl as Maruti might use it as a USP factor. 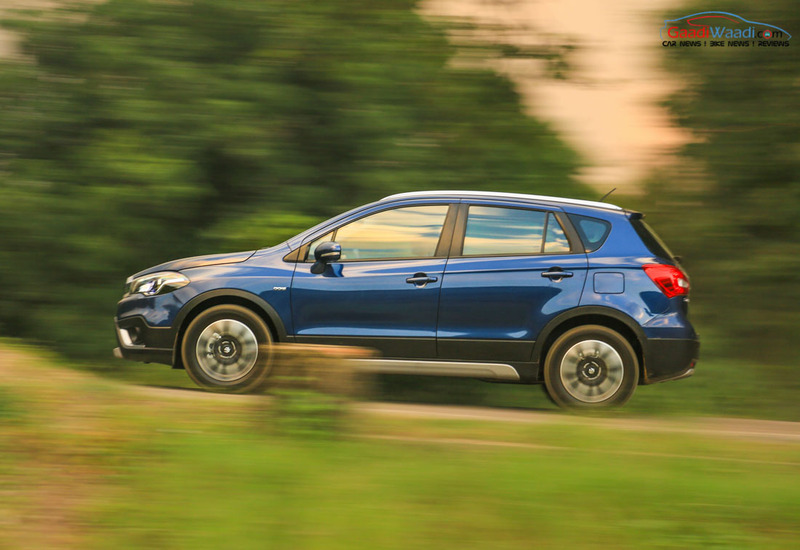 It makes the S-cross as most fuel economical crossover in India. 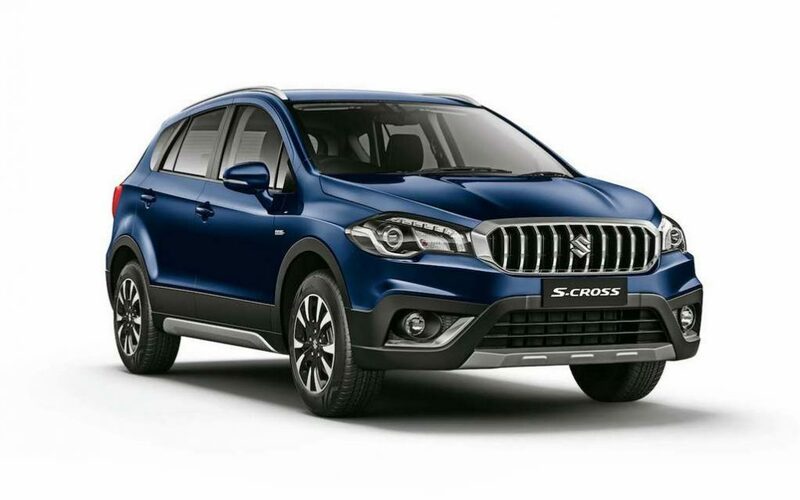 Slight changes in dimension wise as the S-Cross facelift measures 1,785 mm in width, 1,595 mm in height and has a wheelbase of 2,600 mm. 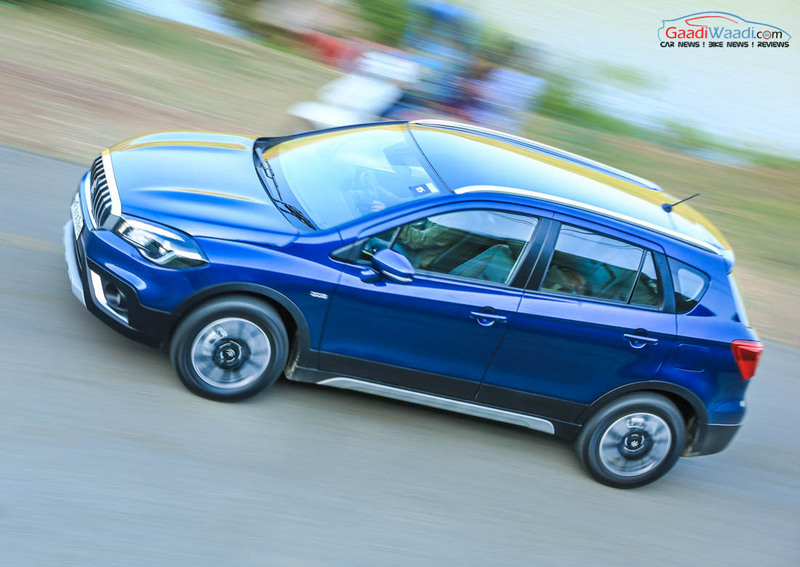 The ground clearance stands at 180mm while it tips the weighing scale at 1,180 kg. 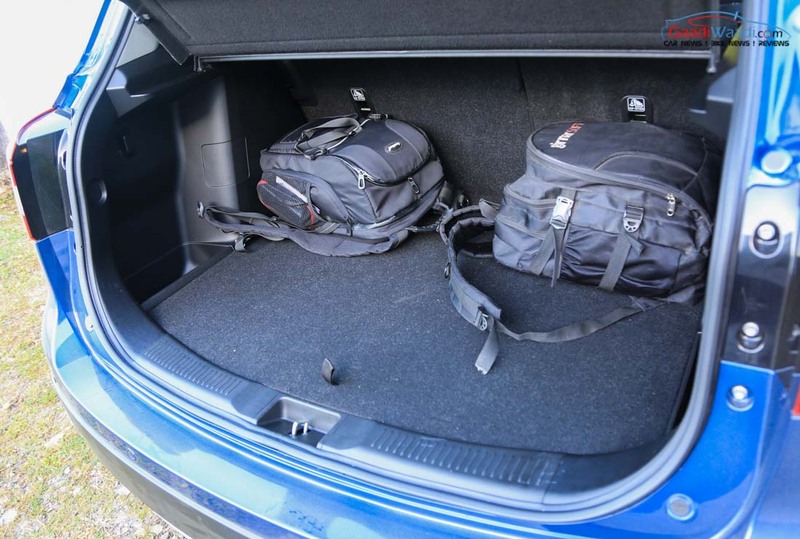 The boot can hold 353 litres of luggage volume and the fuel tank capacity will more likely remain at 48 litres. 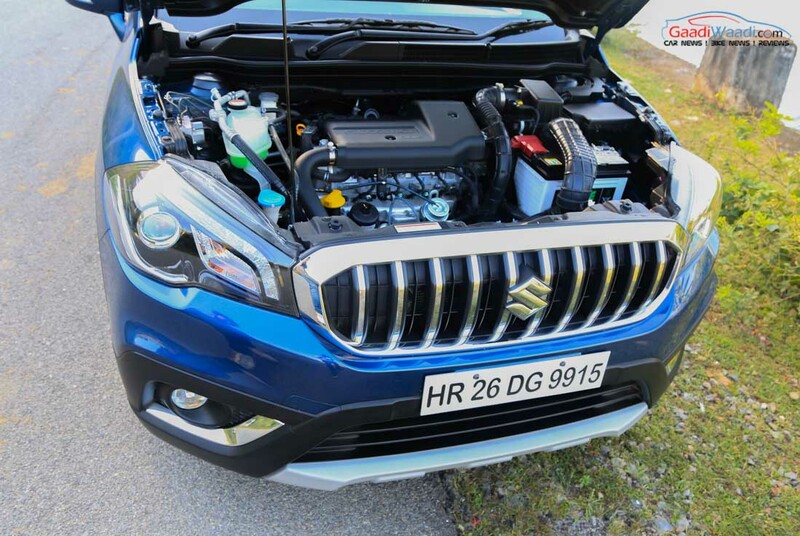 The vertically slated grille is the centrepiece of the new update ditching the European-spec dual slats and it will be accompanied by an enlarged radiator grille, a new set of projector headlamps with chrome detailing, chrome garnished fog lamp enclosures and a revised front bumper. 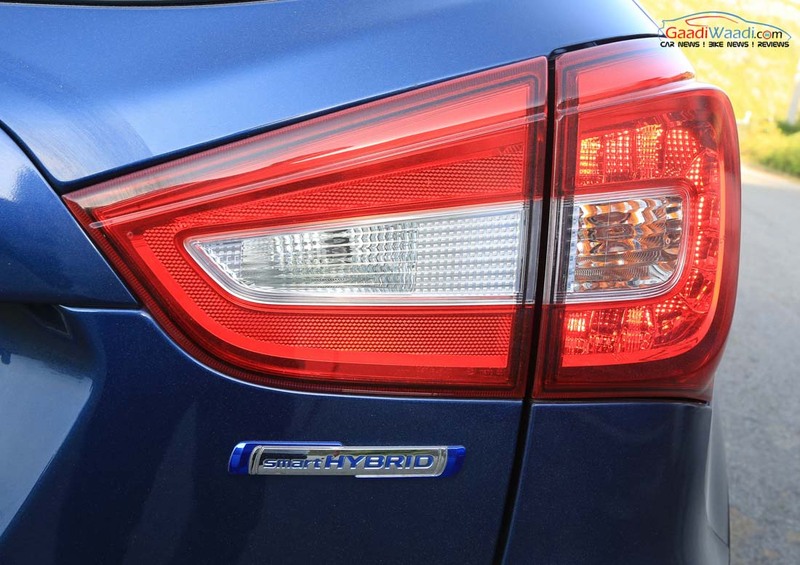 The side profile continue to remain the same as the outgoing model. 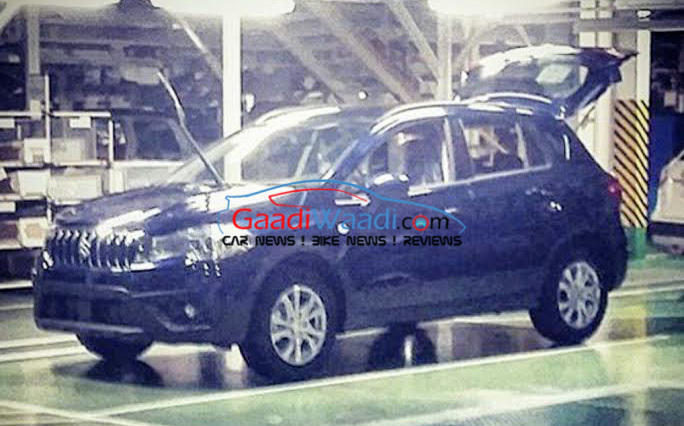 The rear end doesn’t seem to have received any major tweaks as the C-shaped tail lights have been carried forward. 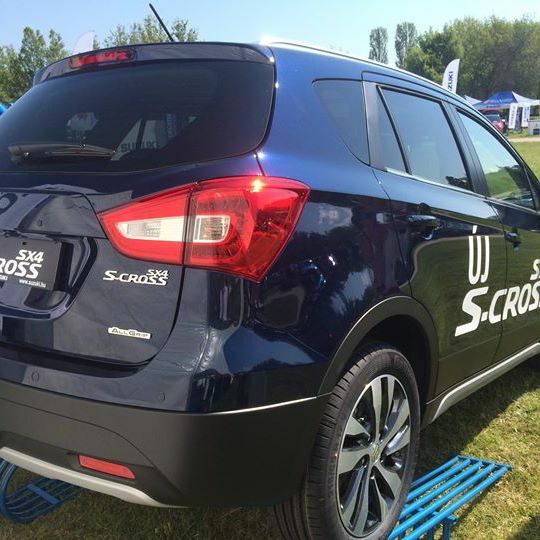 No change to the rear bumper as well with the mono exhaust pipe integrated into the diffuser assembly. 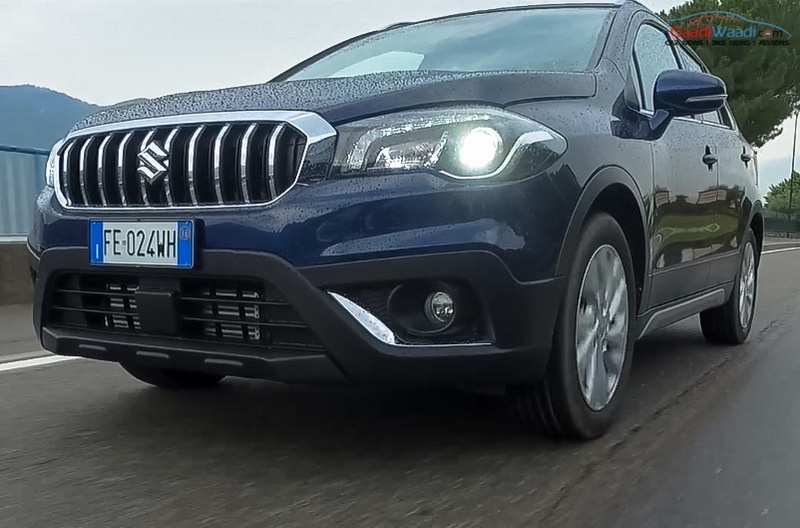 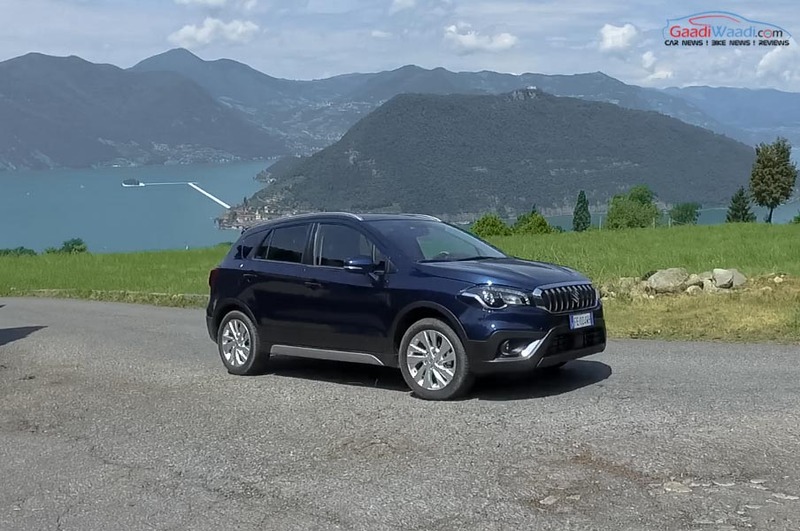 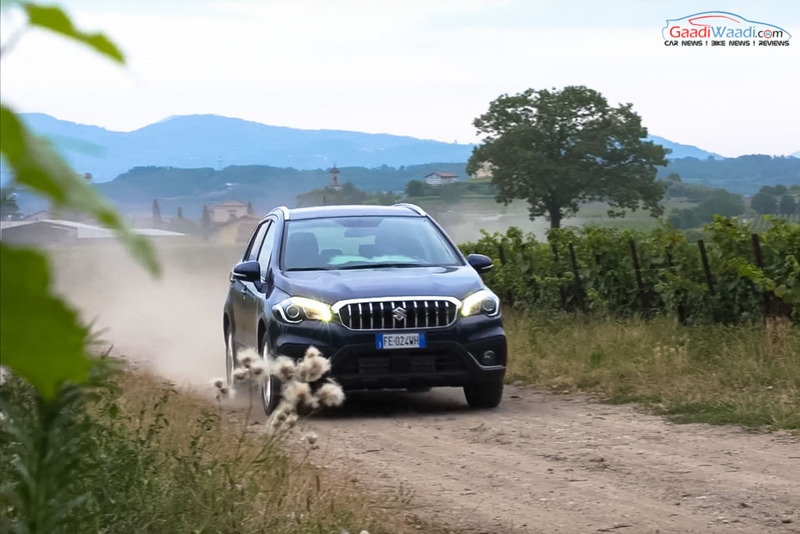 The front revisions certainly have injected new life into the S-Cross in terms of looks as it had always been conceived to have a restrained stance. 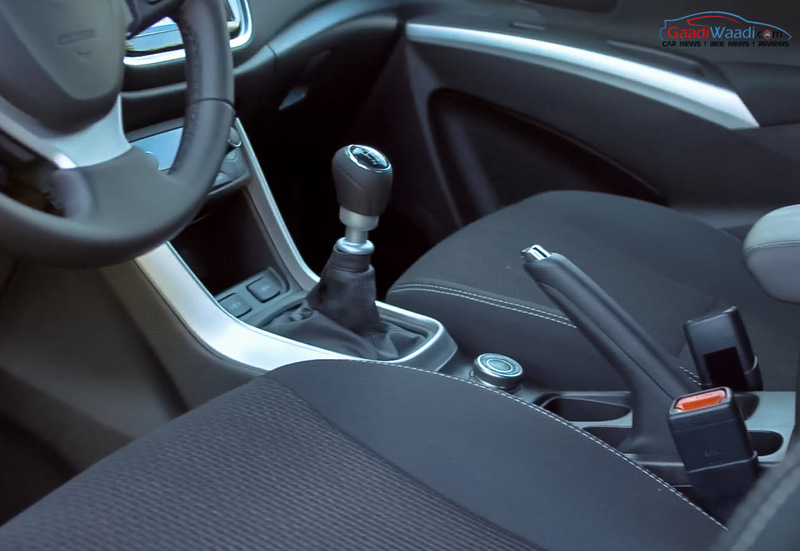 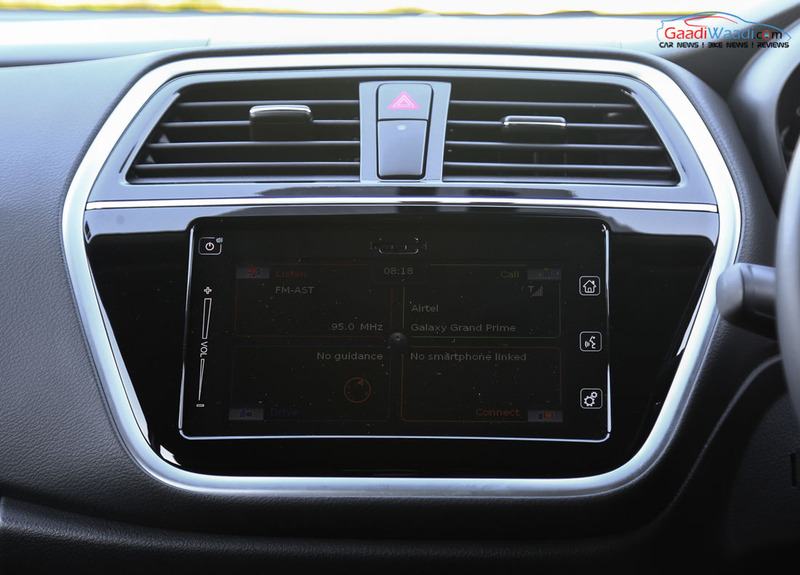 The changes are not limited to the exterior as the cabin features some desirable upgrades as well. 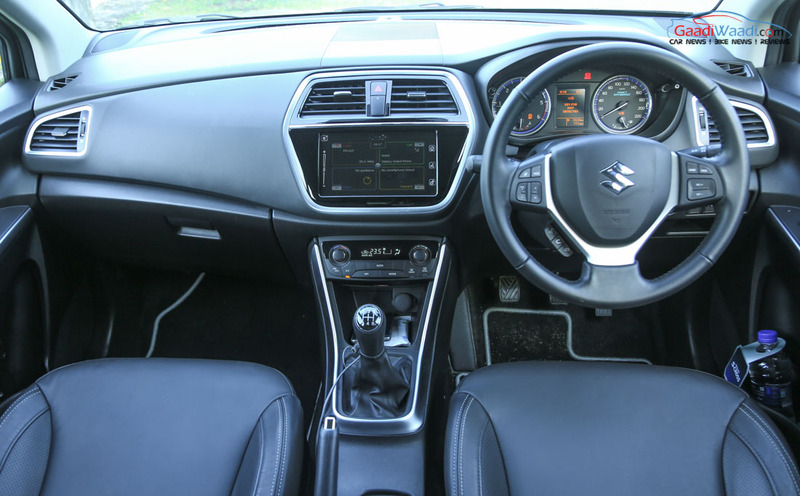 It comprises of contrast seat stitching, new interior colour scheme, an updated instrument panel and added dashboard trims. 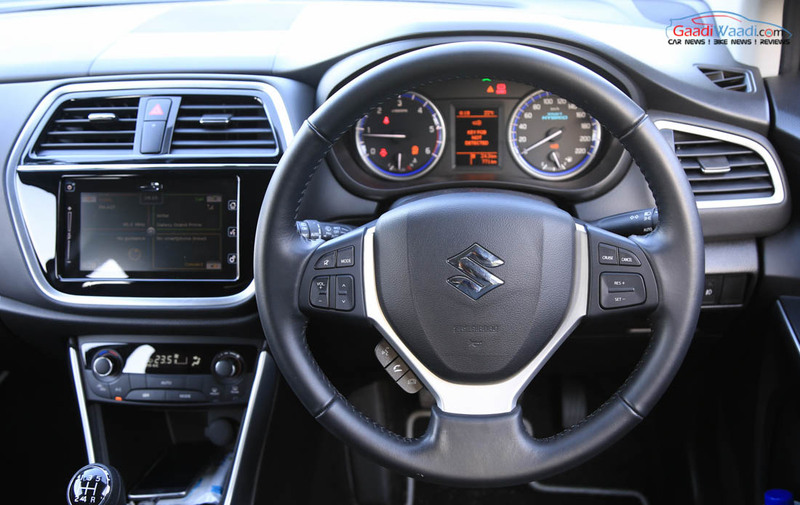 Some of the already offered features are leather wrapped steering wheel, HID projector headlamps, LED Positioning Lamps, reverse parking camera, leather seat upholstery, Smartplay infotainment system, 16-inch alloy wheels, navigation, voice command, auto dimming Inside Rear View Mirror, cruise control, automatic headlamps and rain sensing wiper. 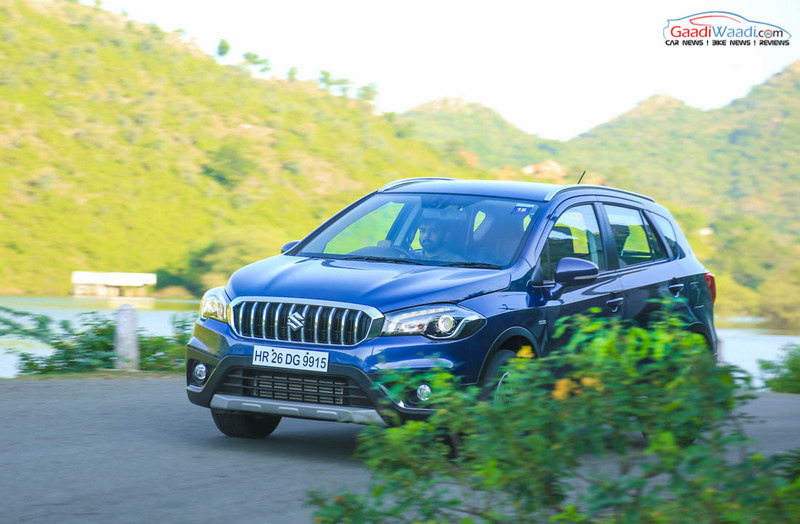 The facelifted S-Cross will go up against usual nemesis such as Hyundai Creta, Renault Duster, Nissan Terrano, Ford EcoSport and the likes.